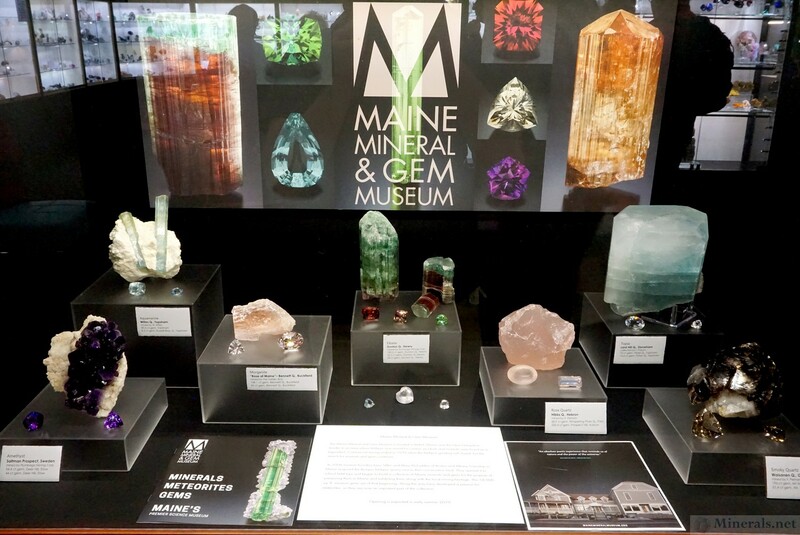 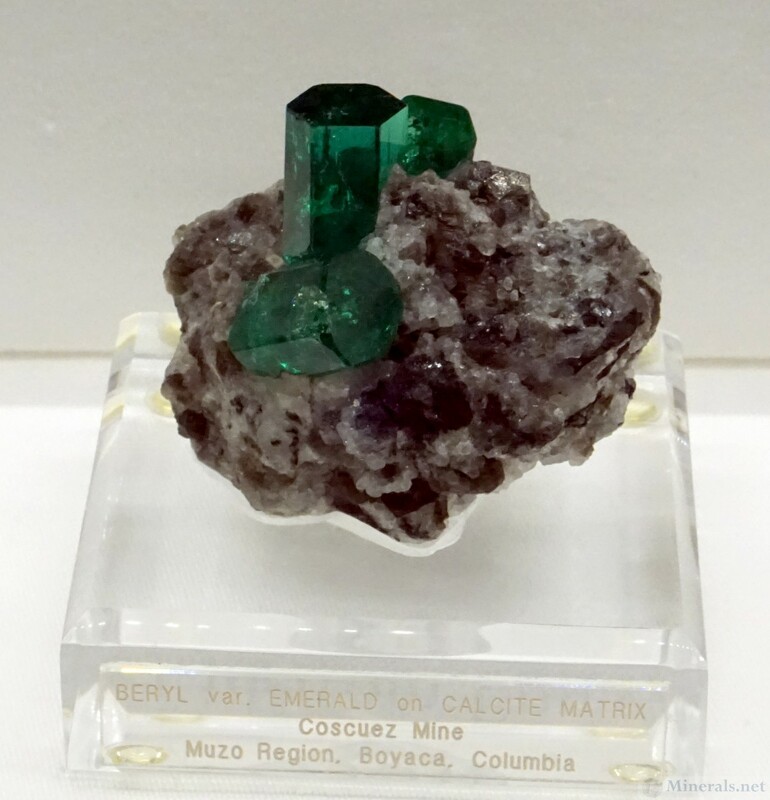 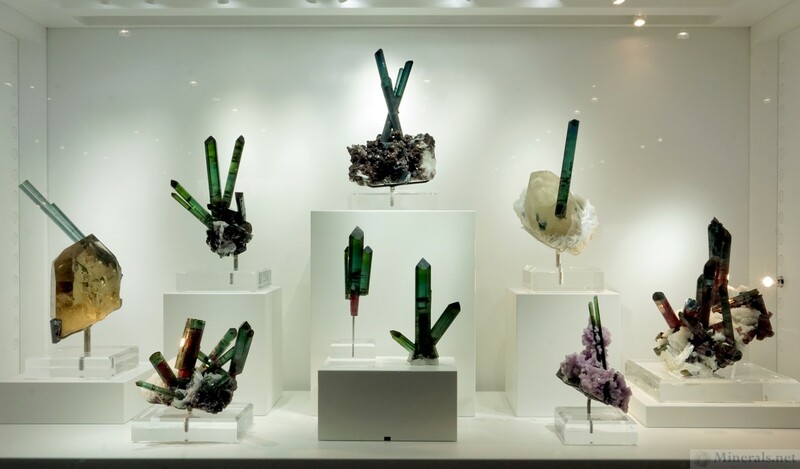 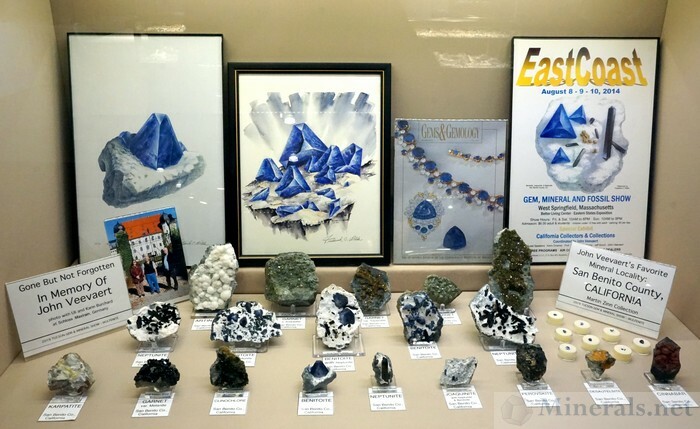 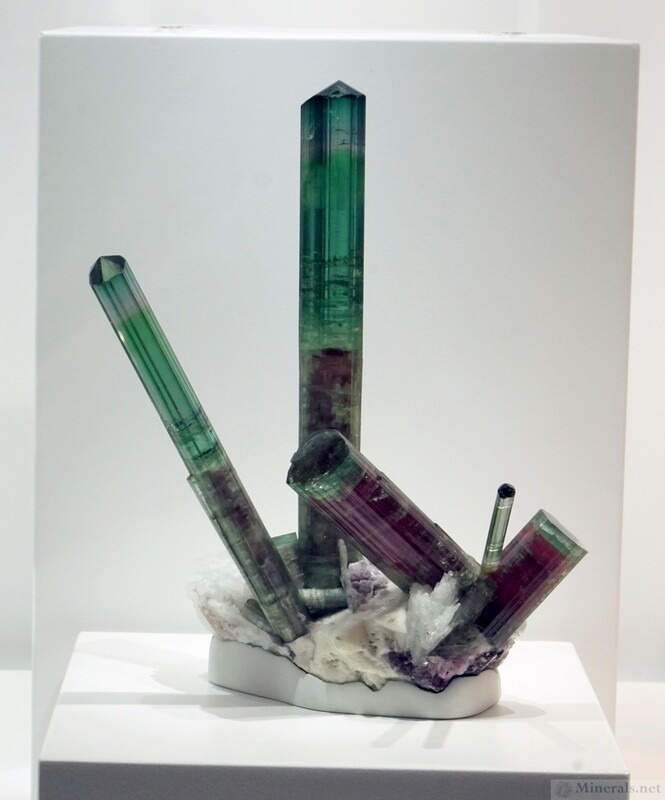 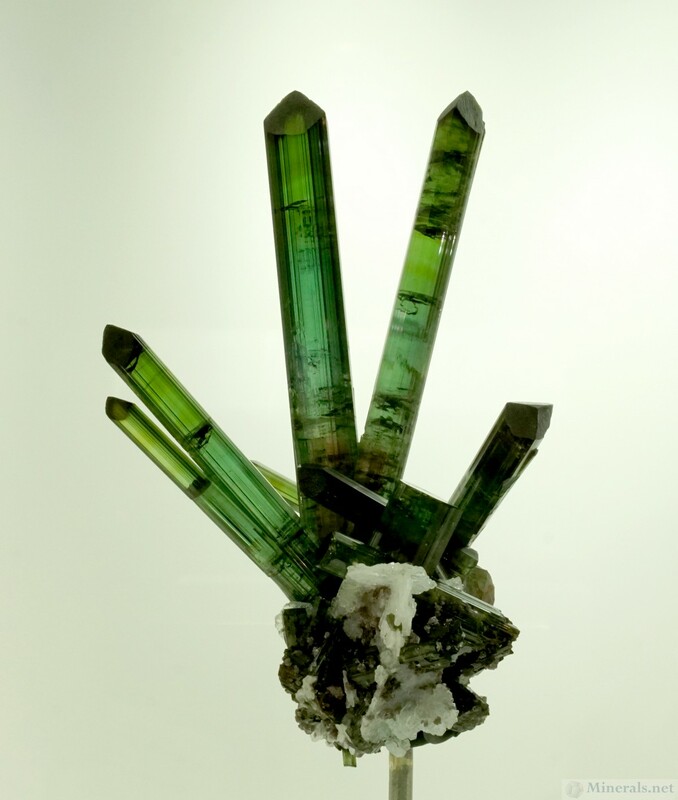 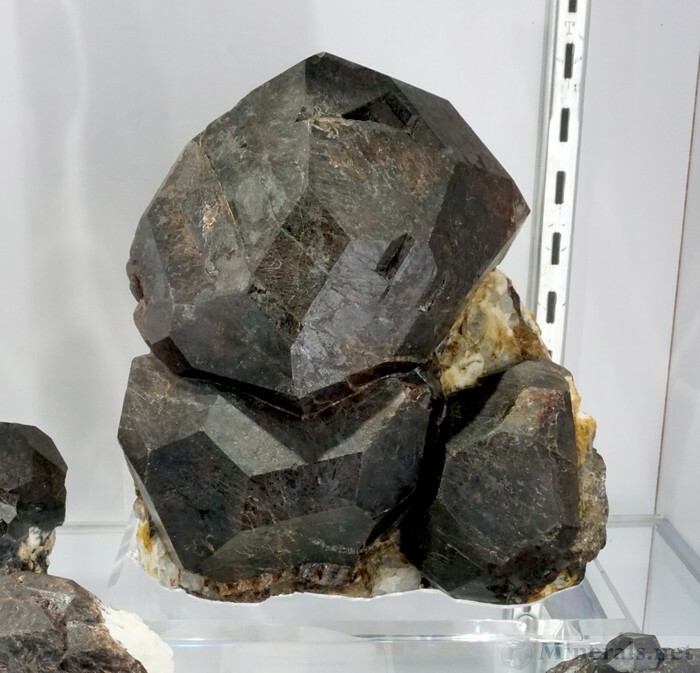 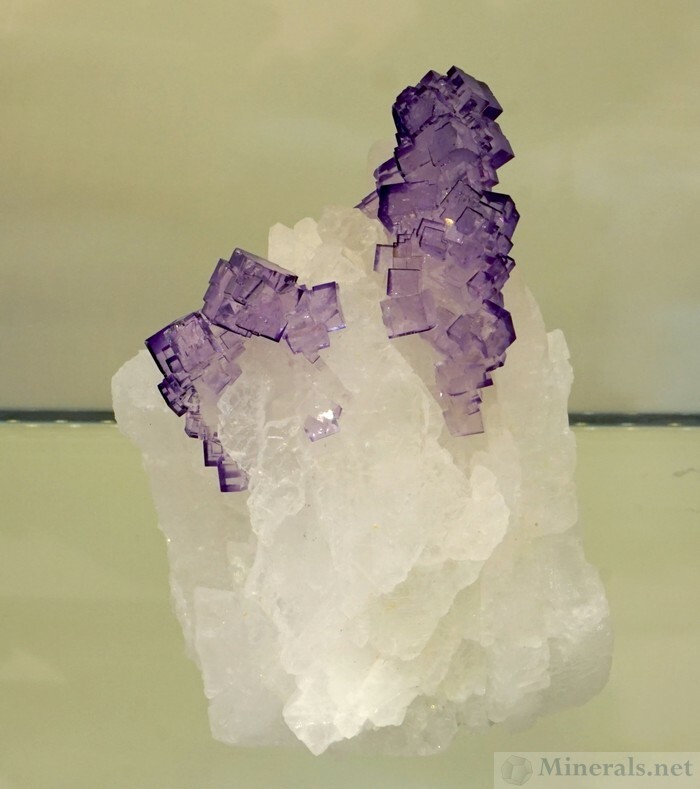 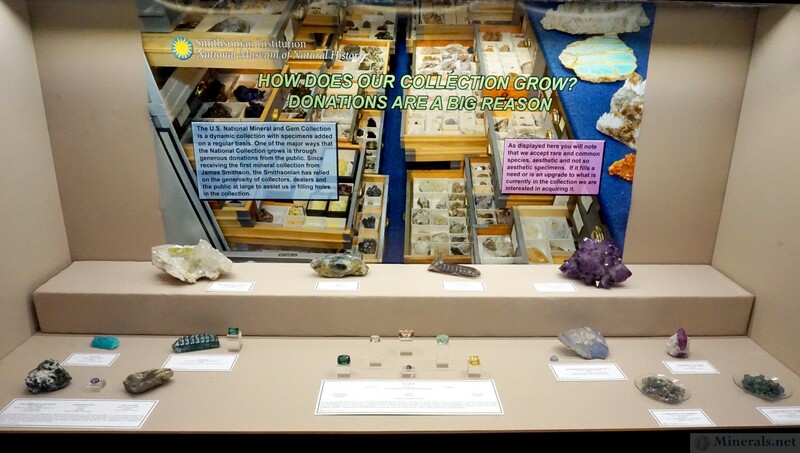 Collector's Edge is a well-known mineral dealer that has some exclusive, high-end minerals for sale, and also conducts mining operations for specimens. 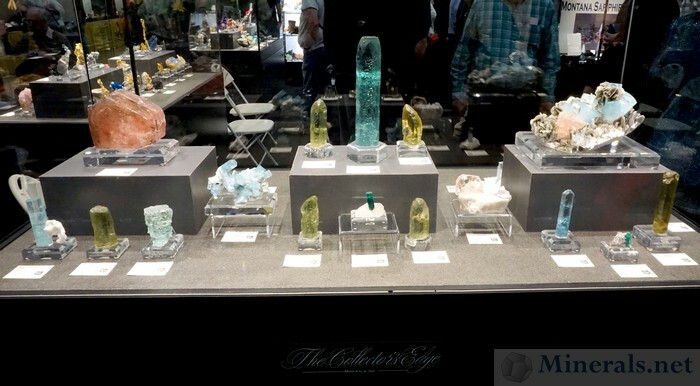 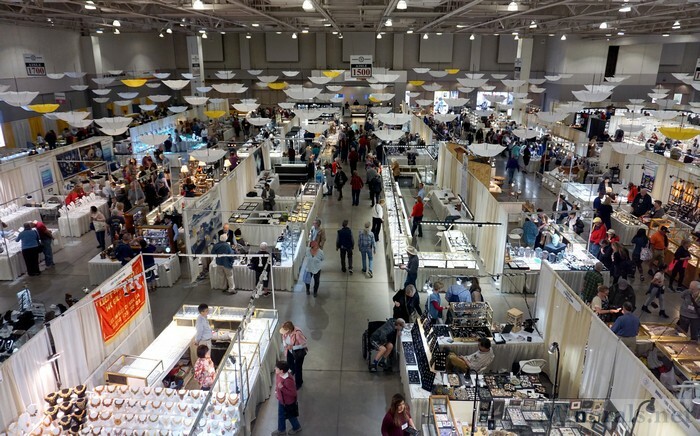 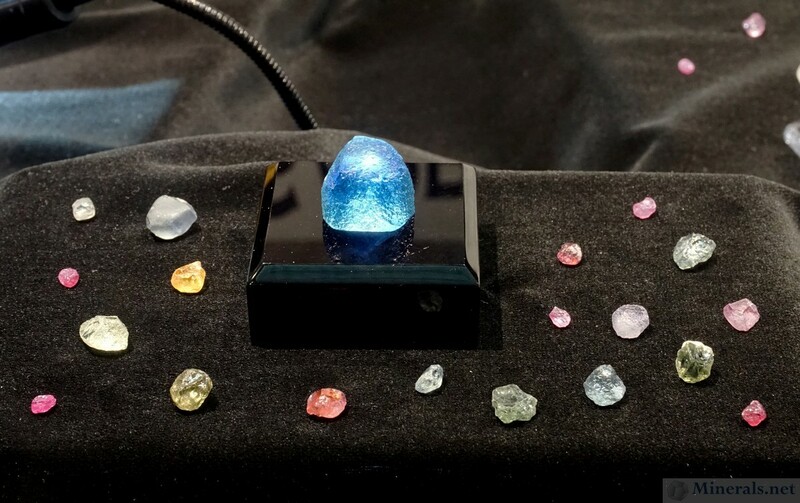 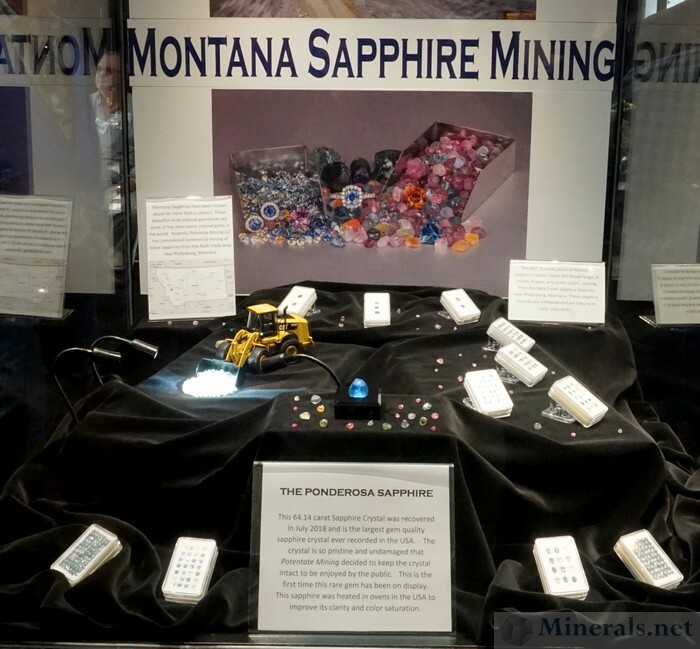 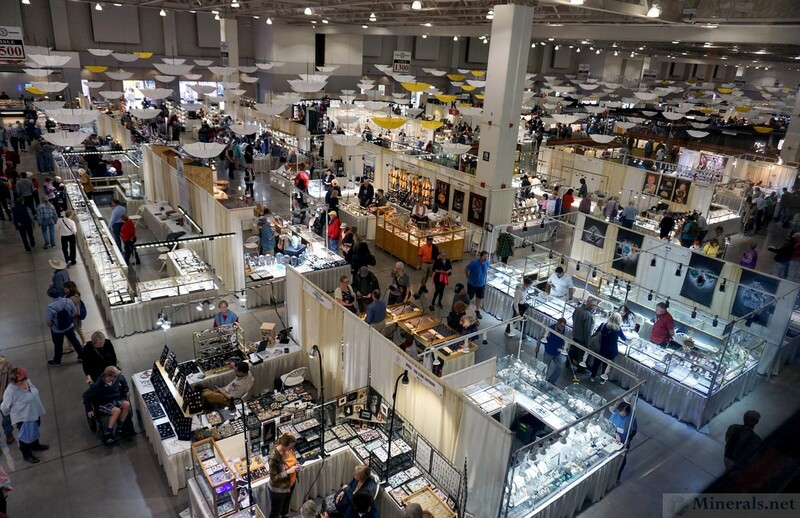 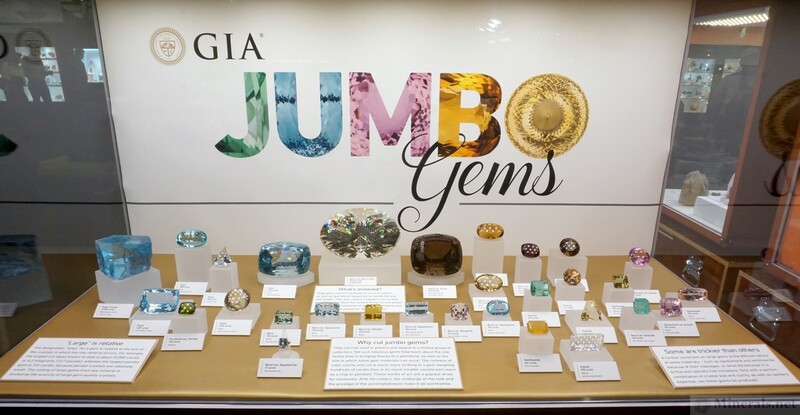 They traditionally have one of the most prominent and showy booths in Tucson, with an elaborate set up of their finest minerals. 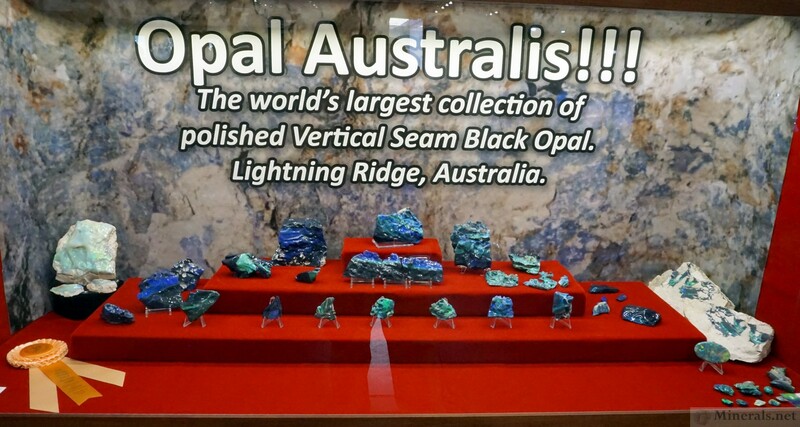 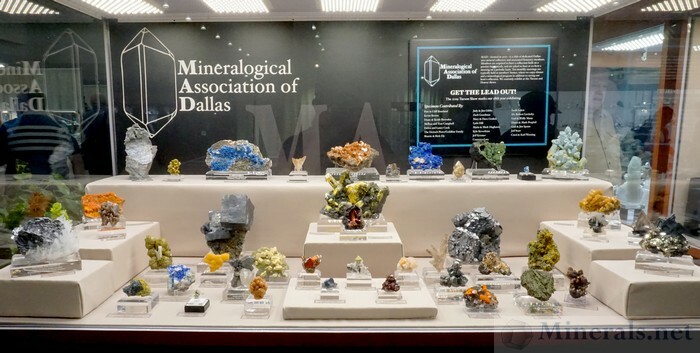 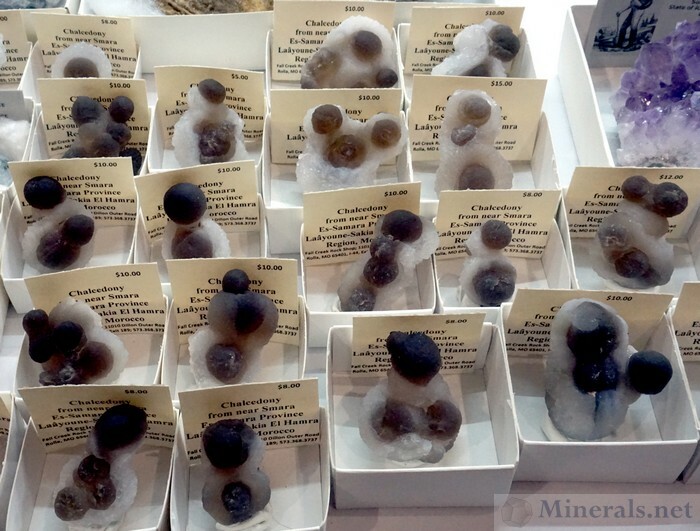 This year was no exception, and we have made a seperate post to feature some of minerals in their memorable booth. The Tucson Gem and Mineral Show® always has an amazing selection of minerals from the many important dealers that are set up at this show. 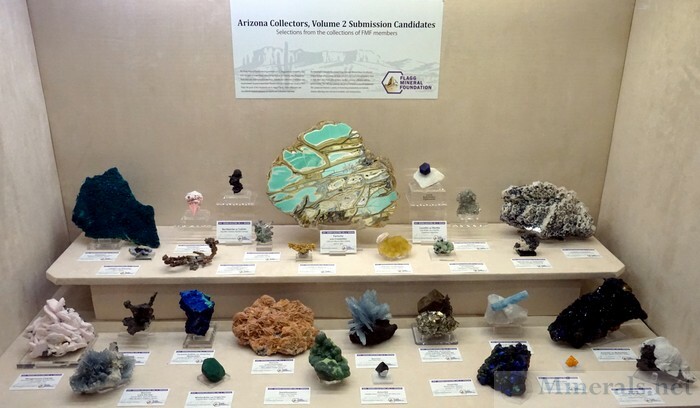 Many have new mineral finds that they first release here in Tucson, and some bring new stock of classic, old-time material for purchase. 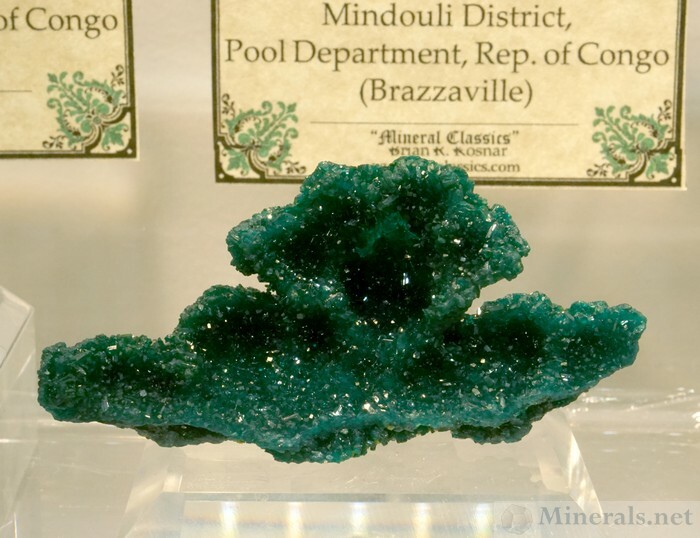 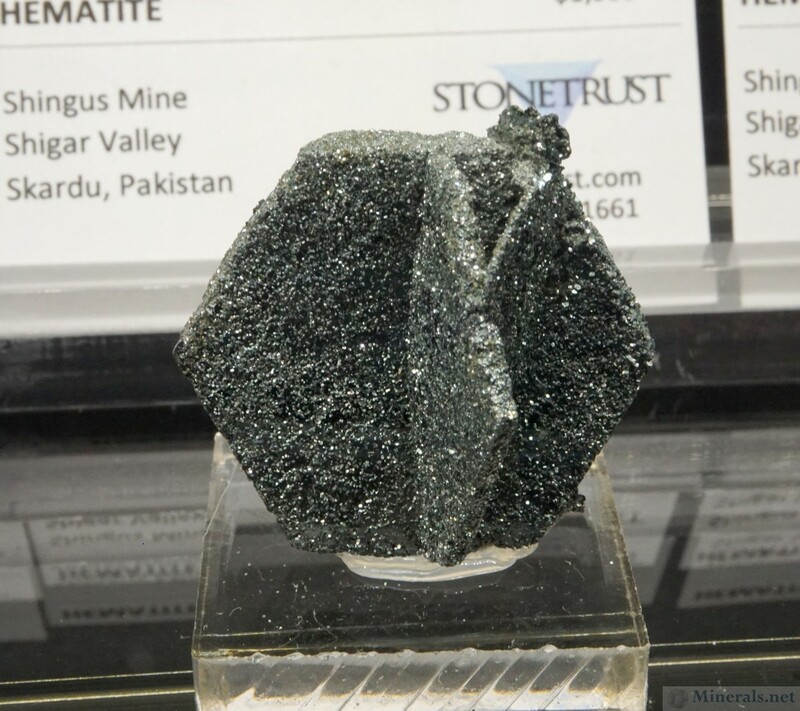 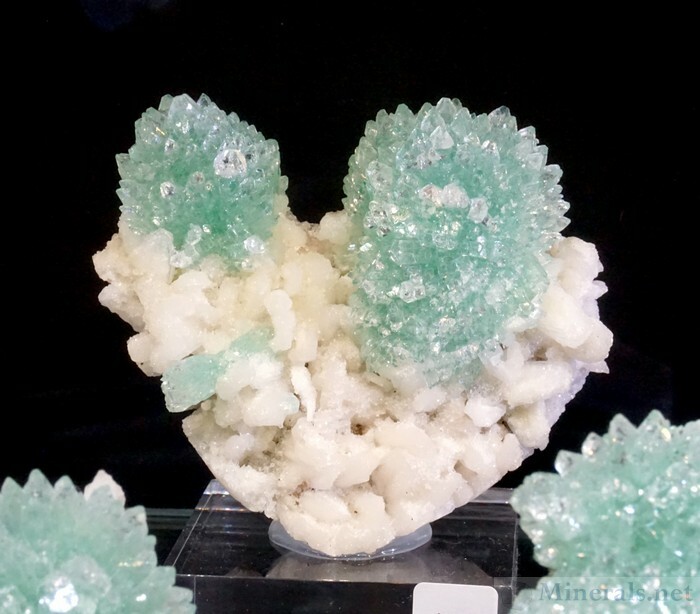 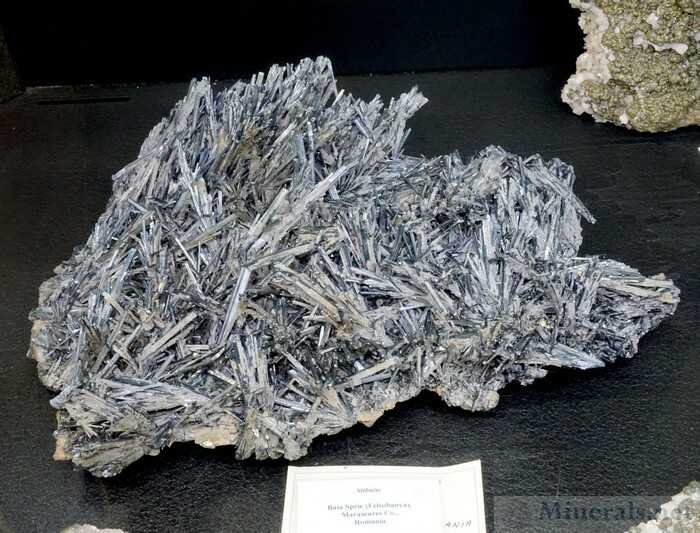 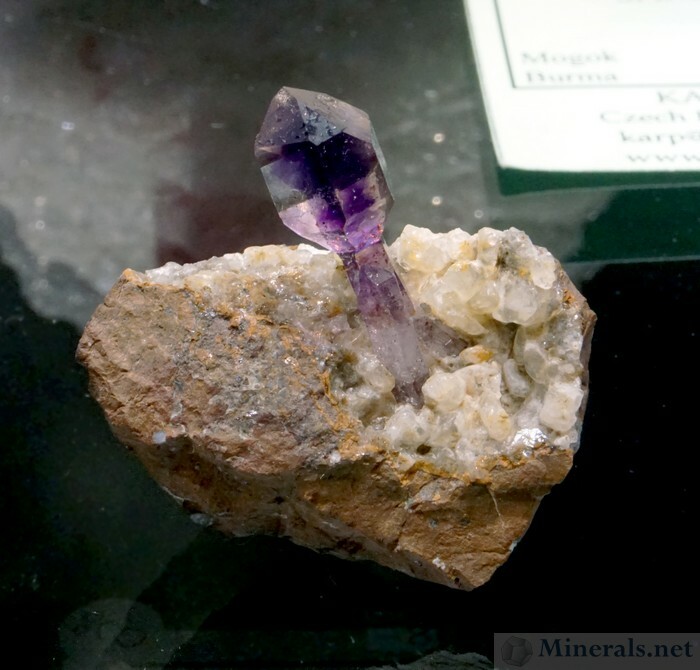 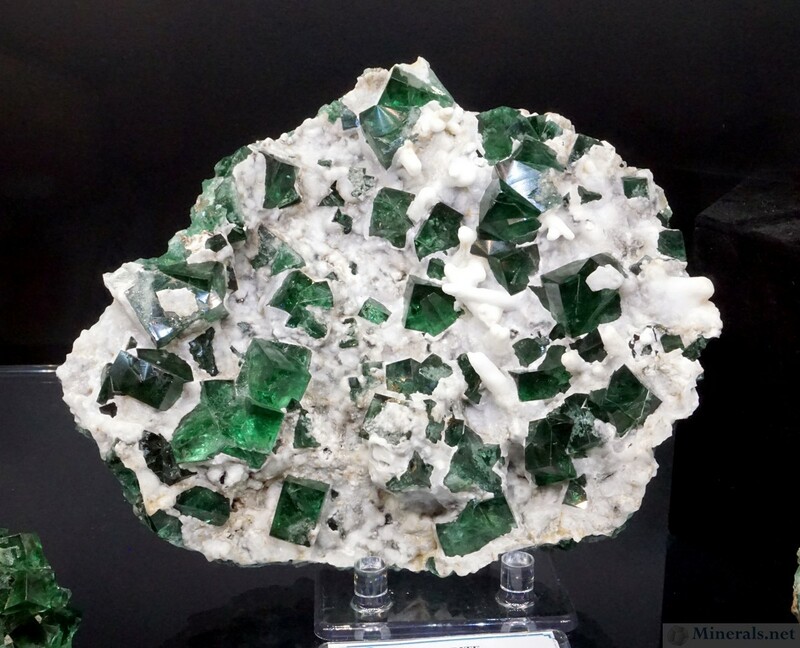 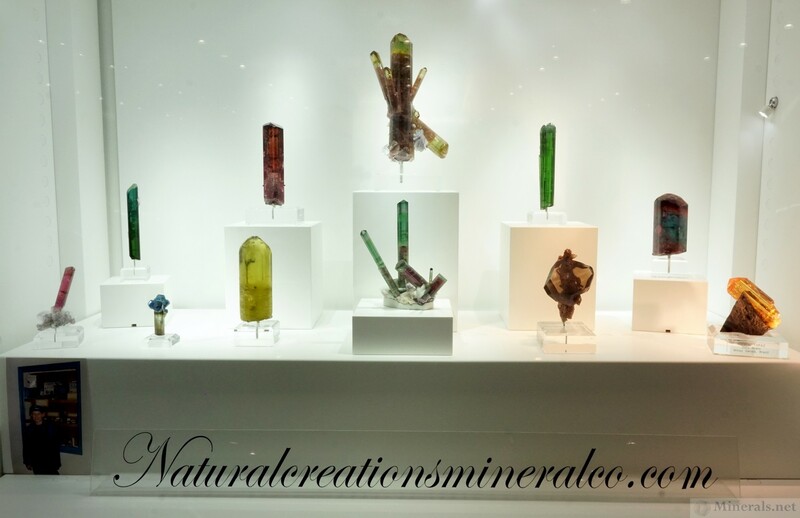 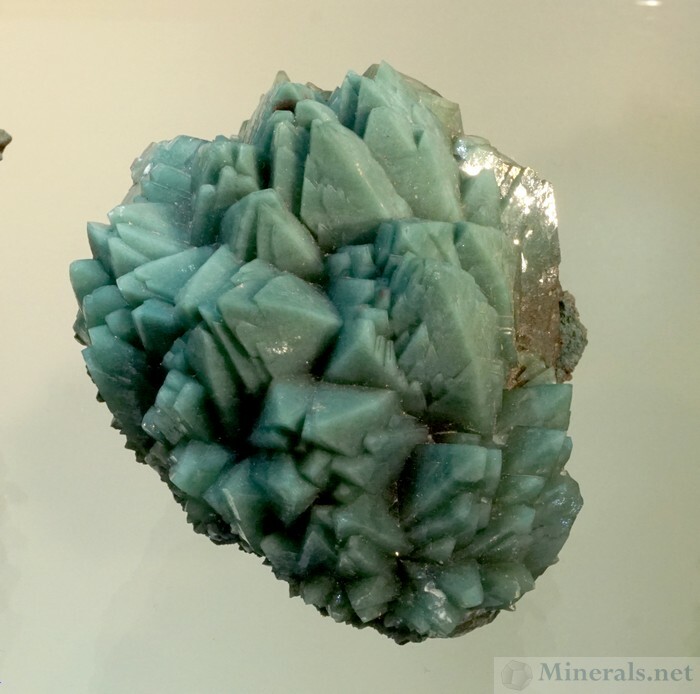 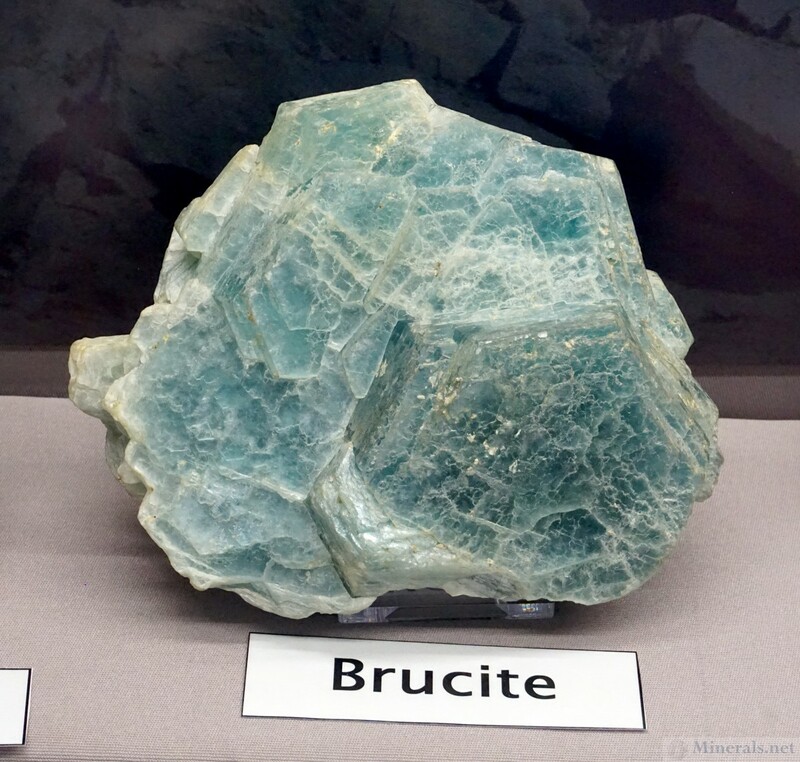 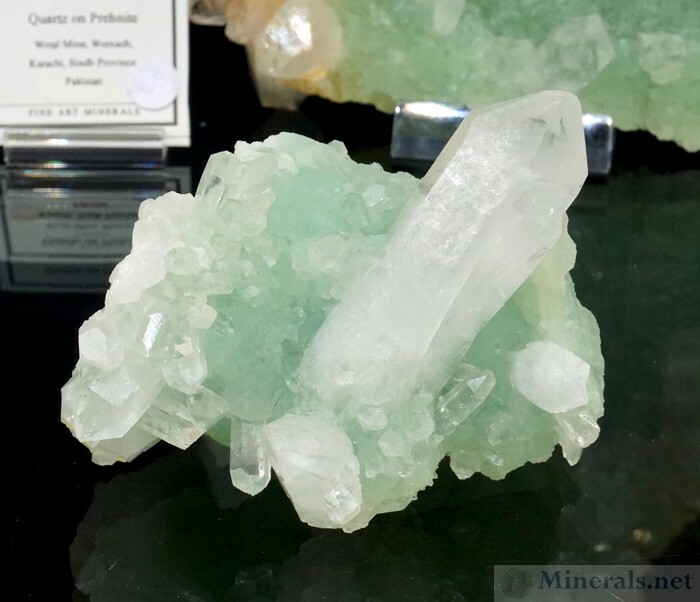 This next post features some of the new and minerals available by dealers. 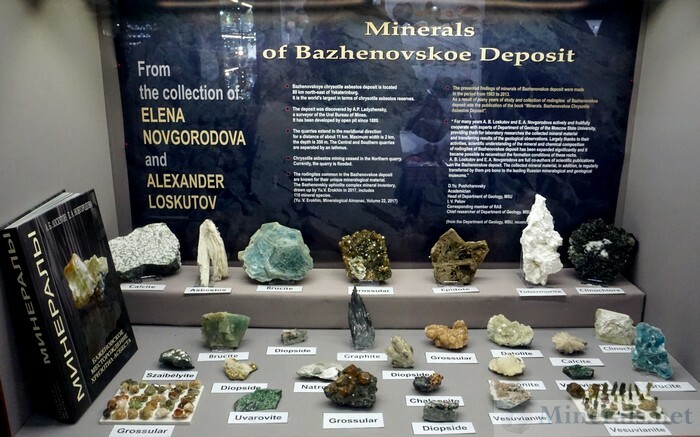 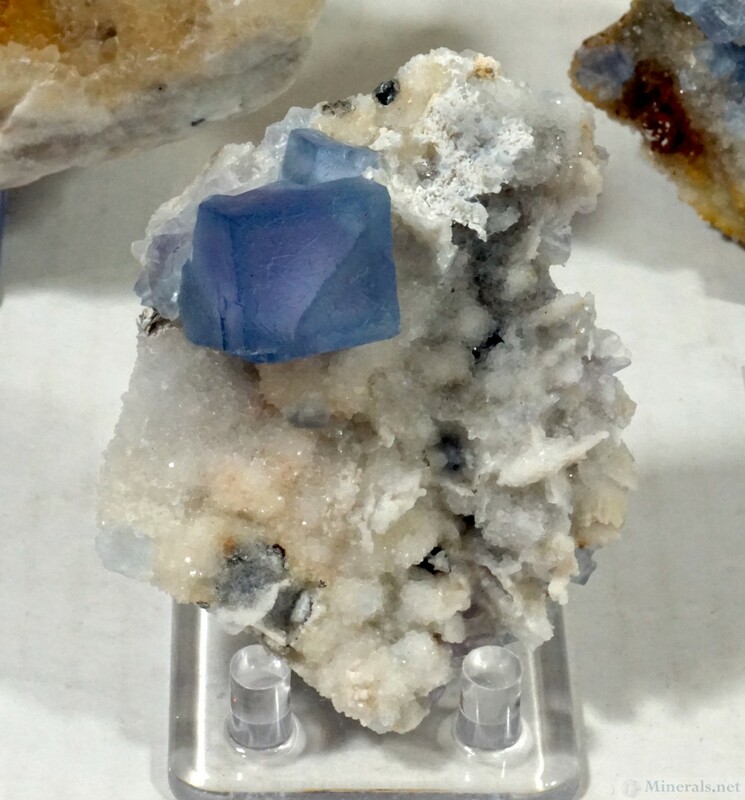 These include new finds, newly released material from old finds, and other mineral specimens that I found particularly interesting or attractive. 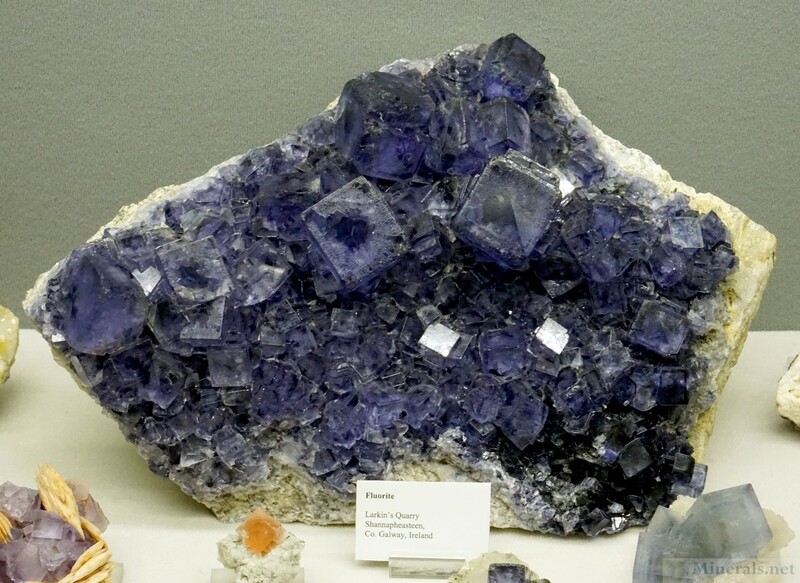 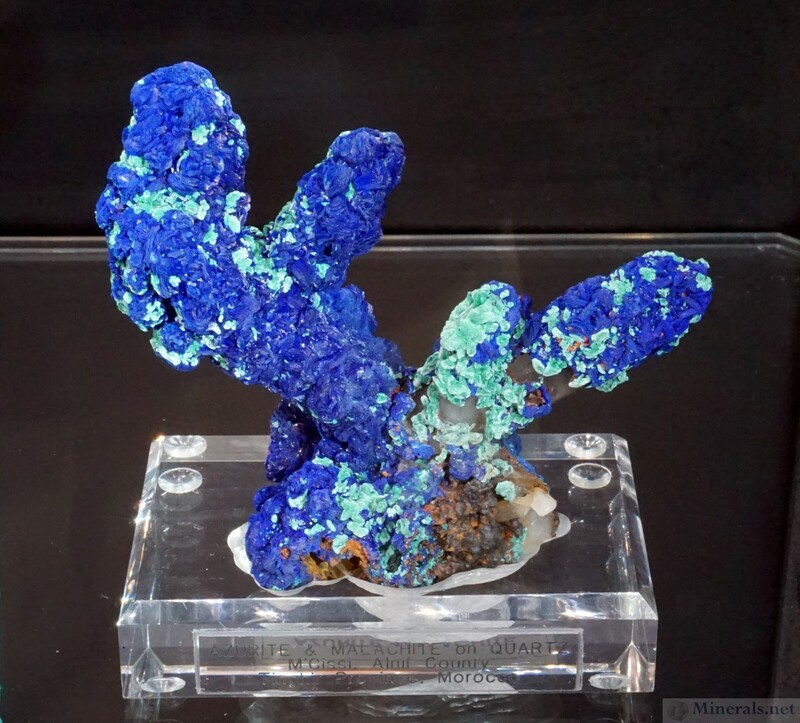 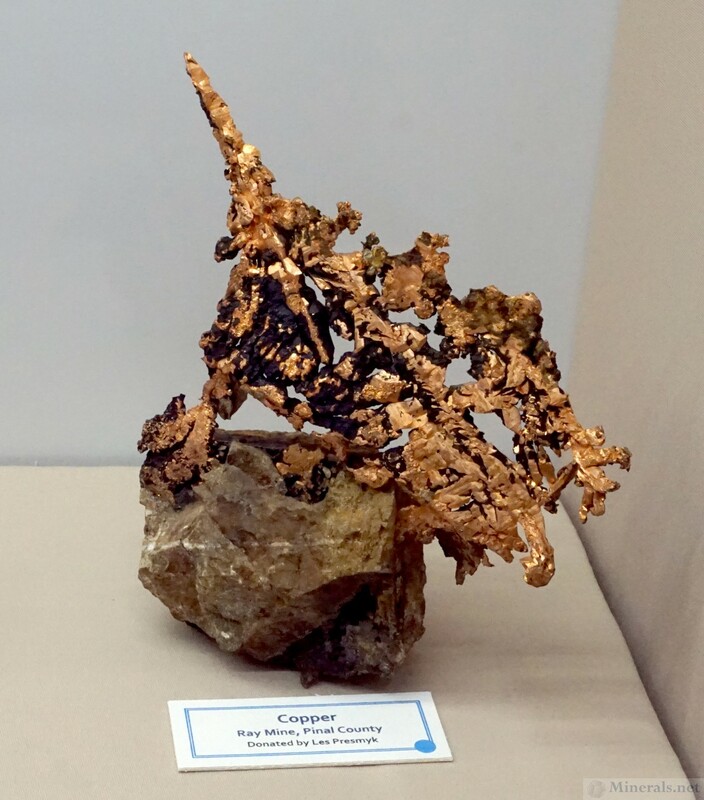 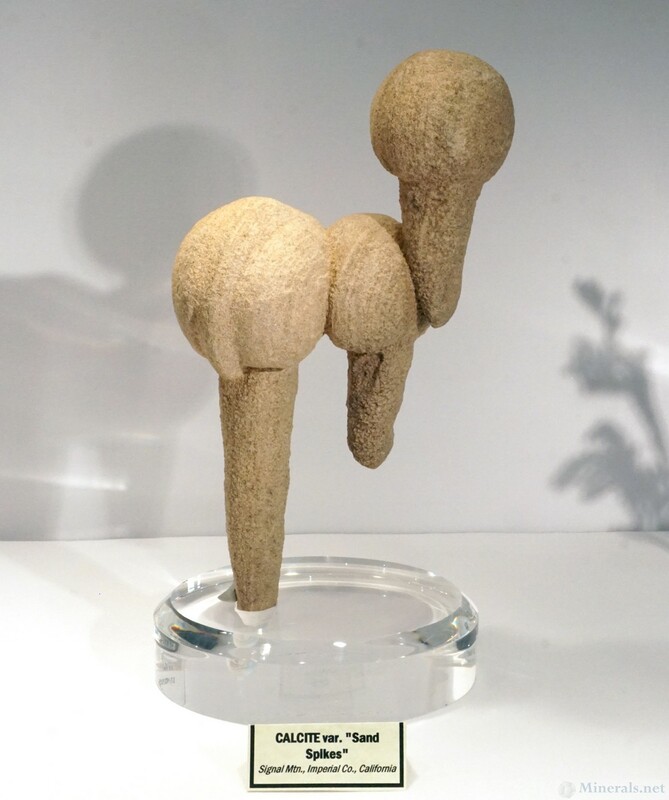 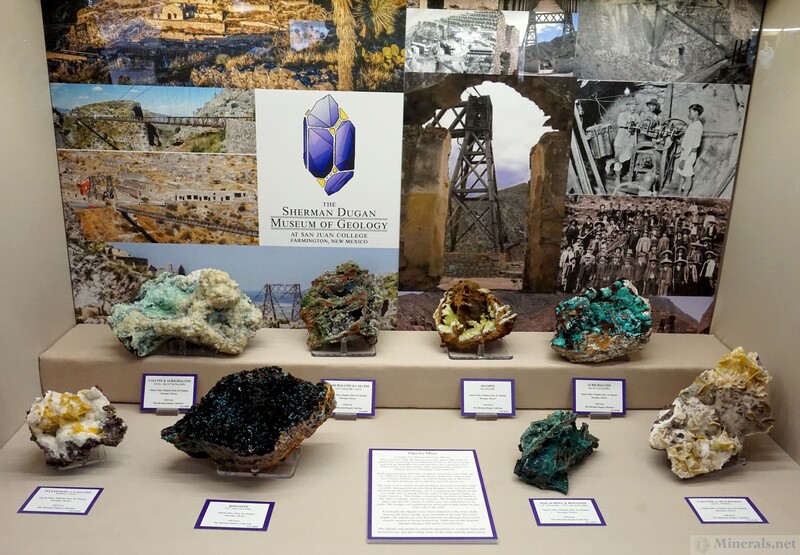 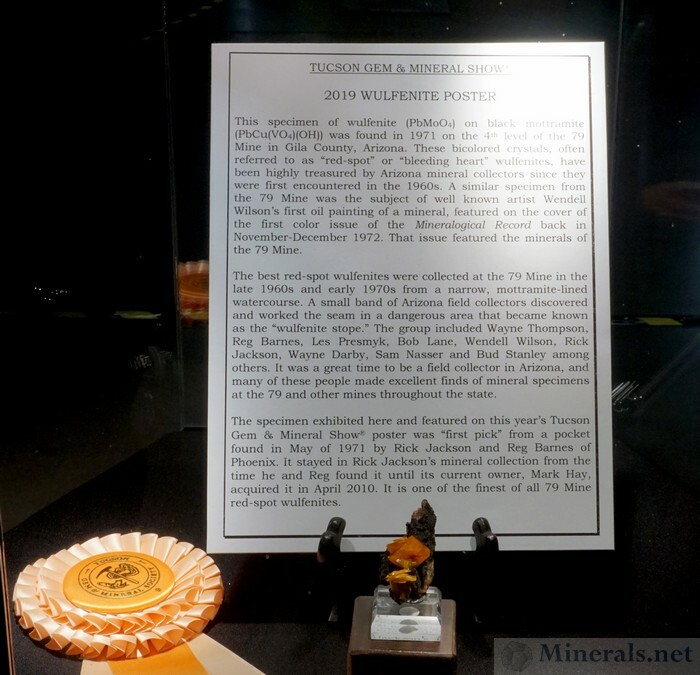 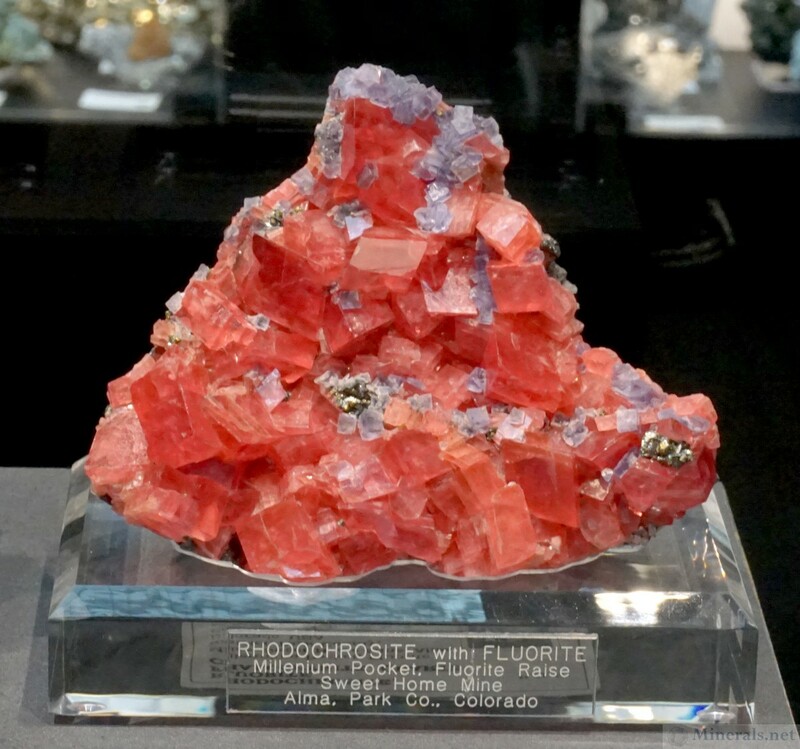 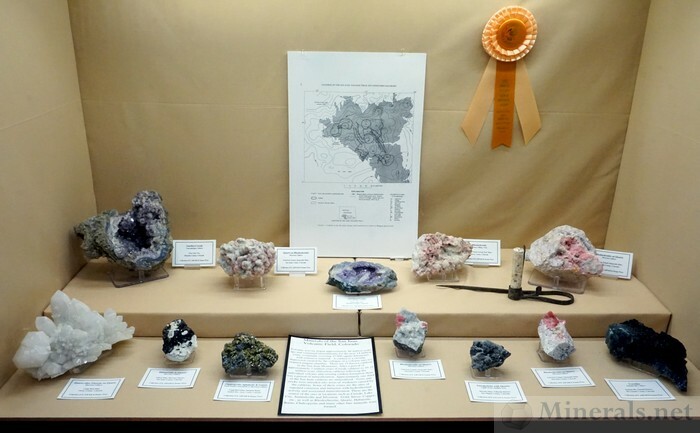 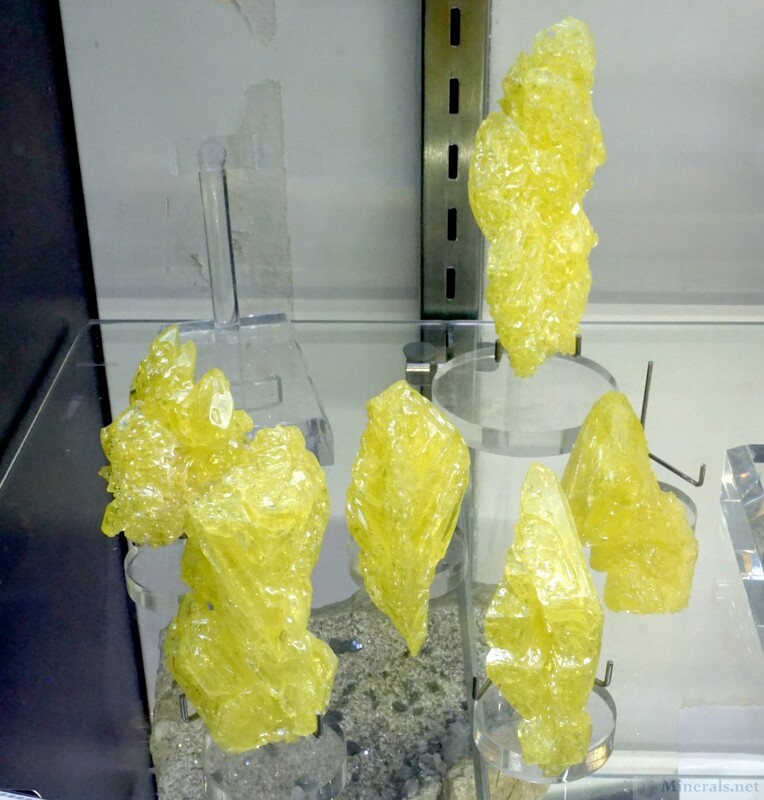 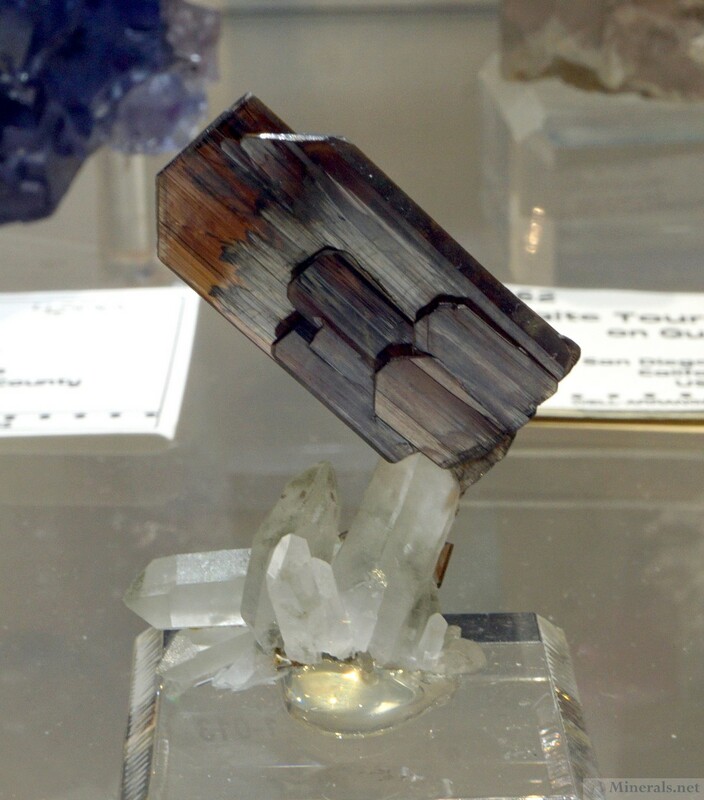 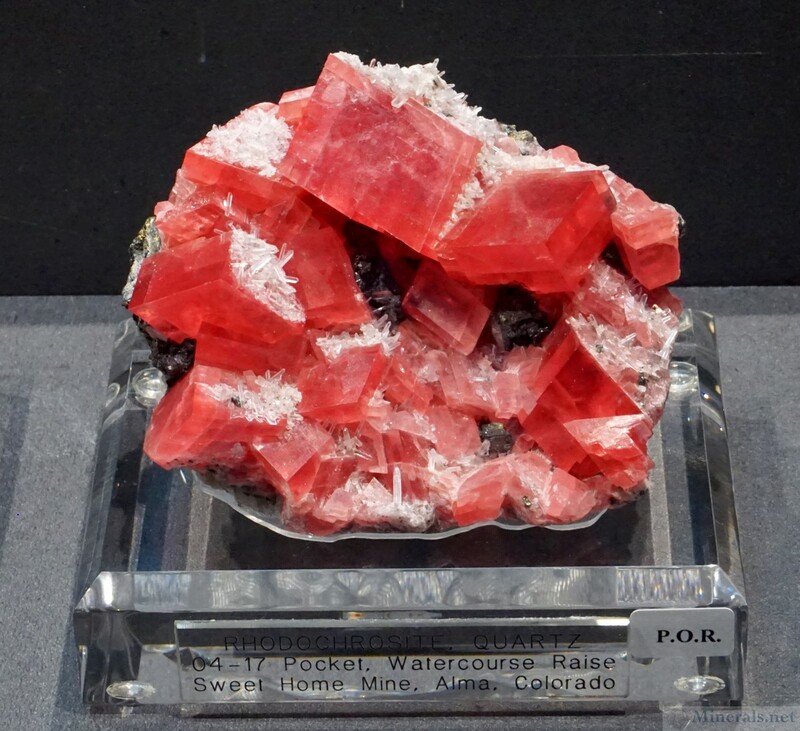 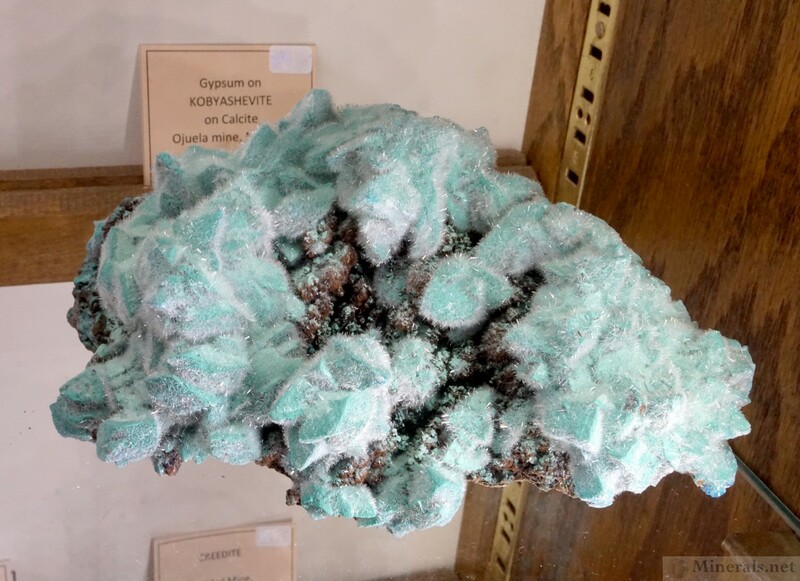 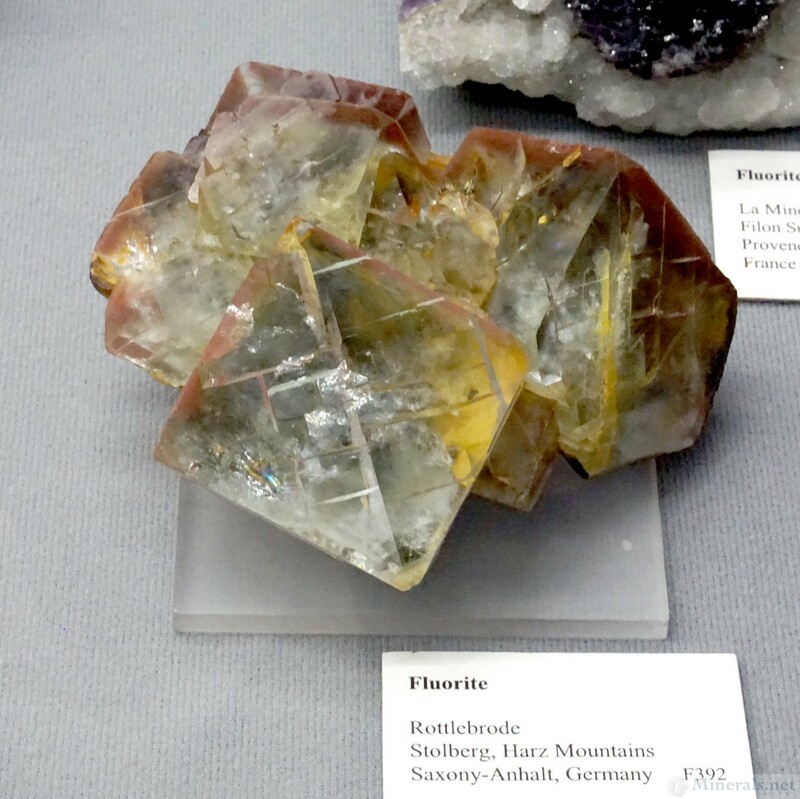 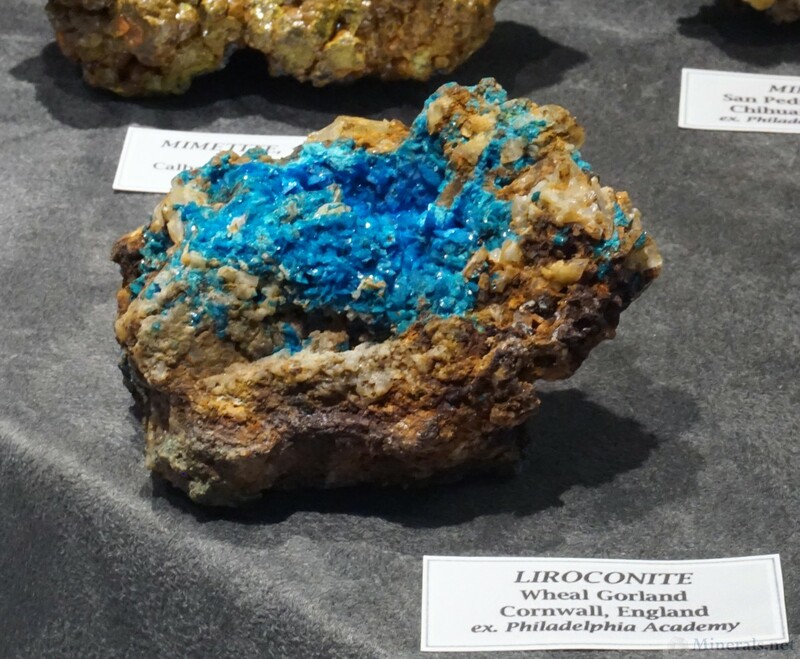 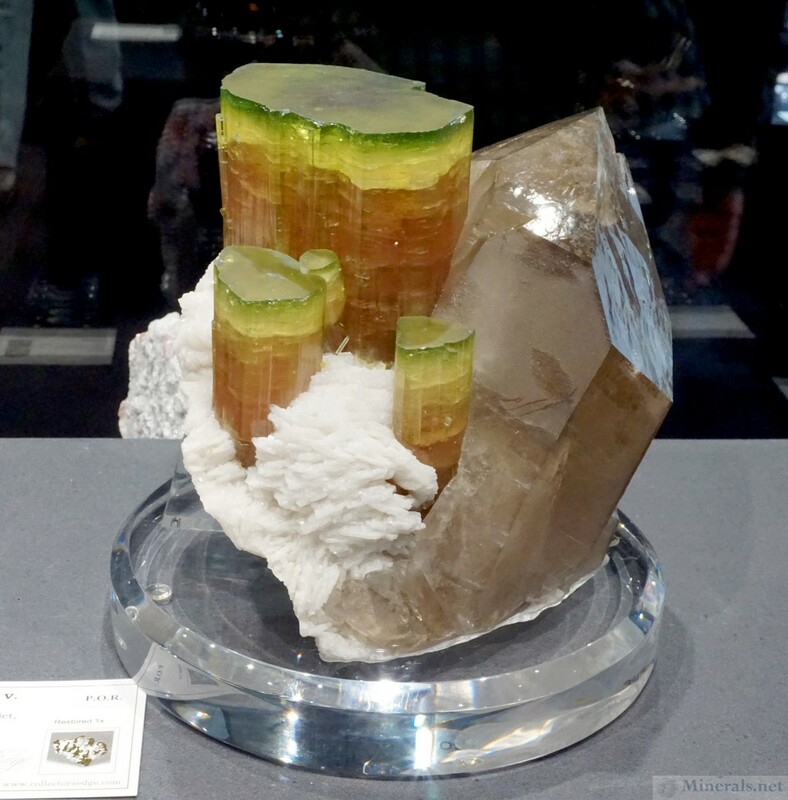 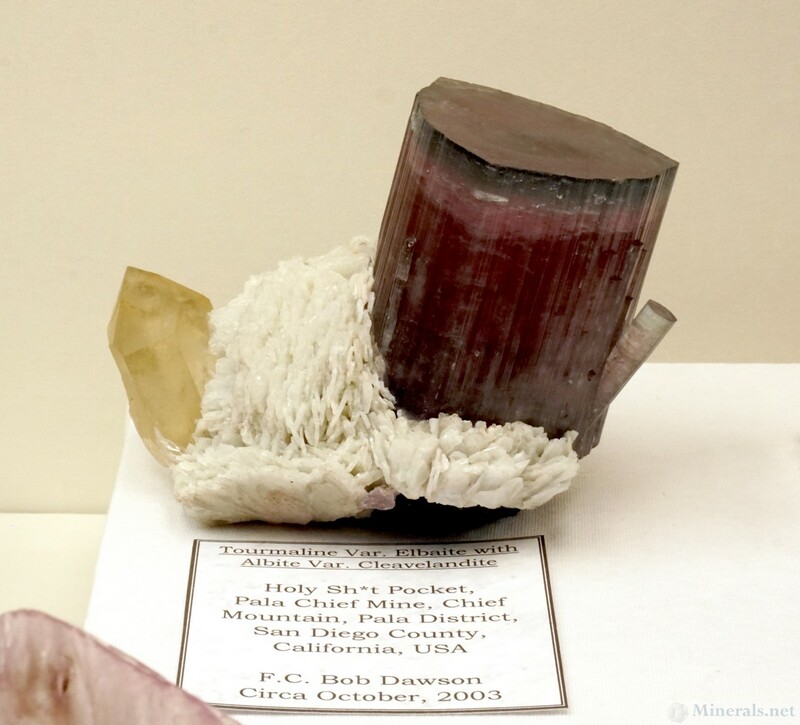 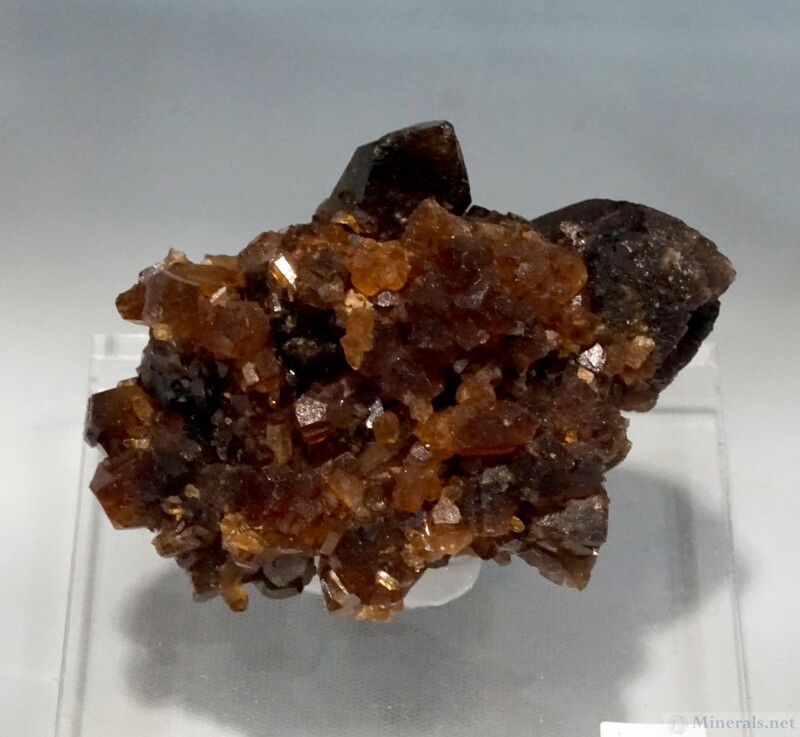 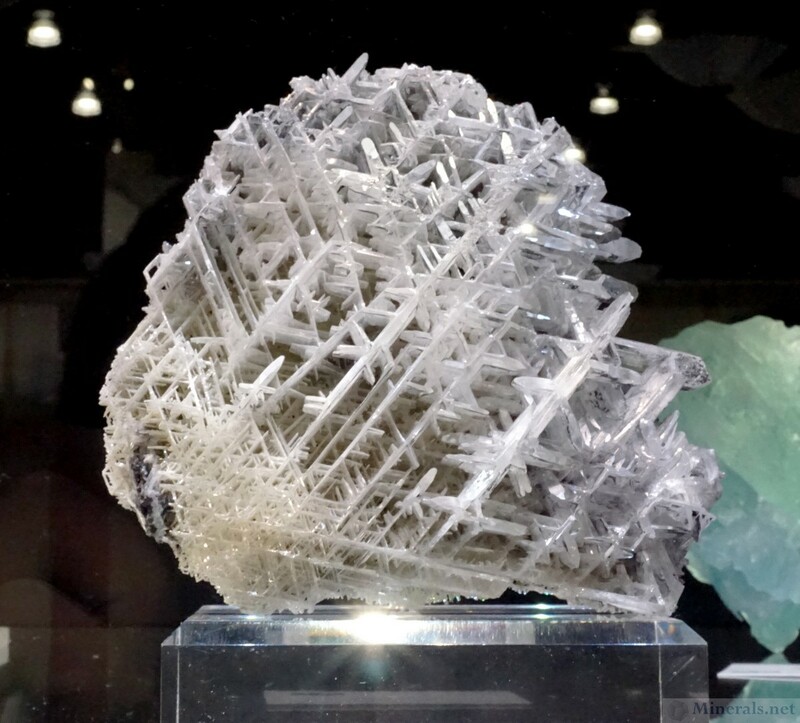 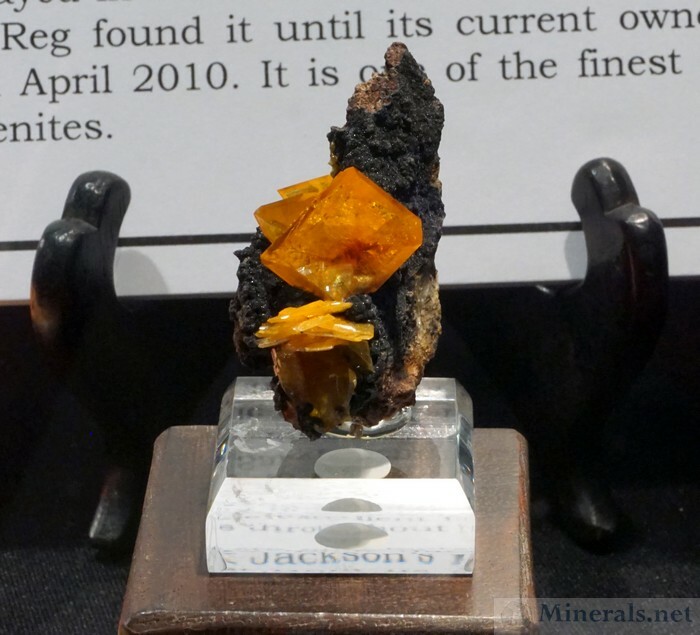 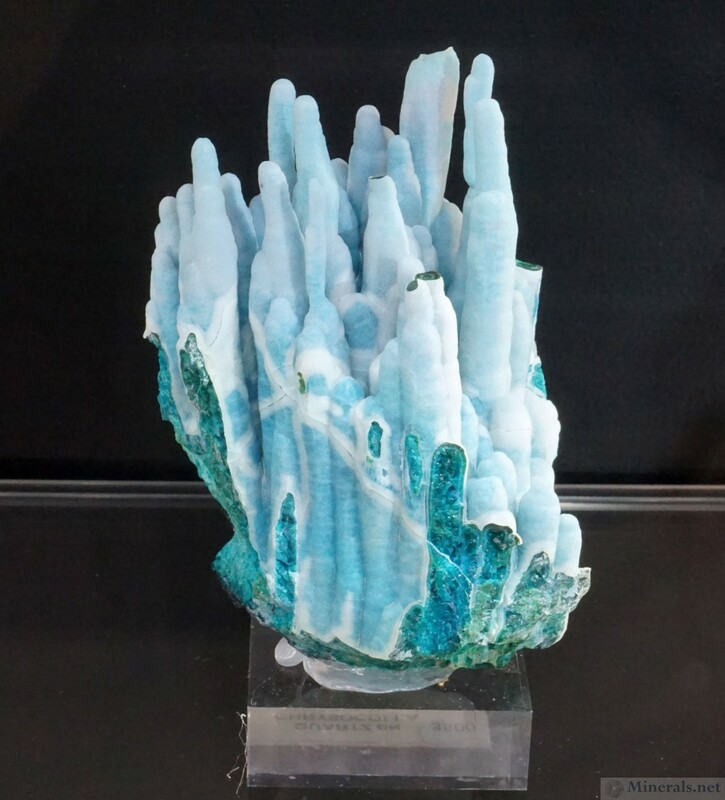 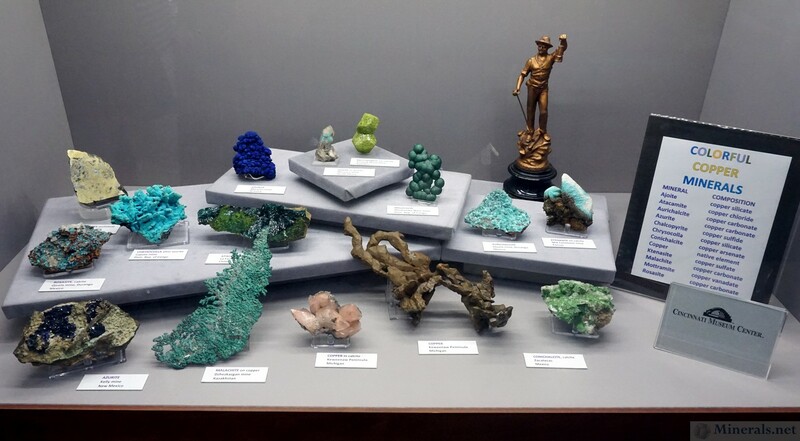 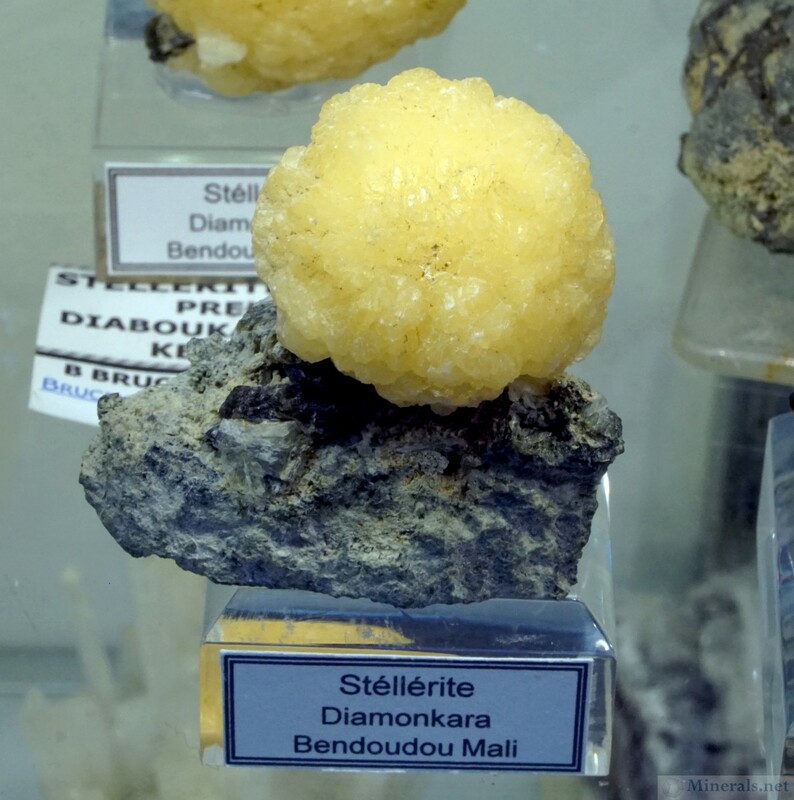 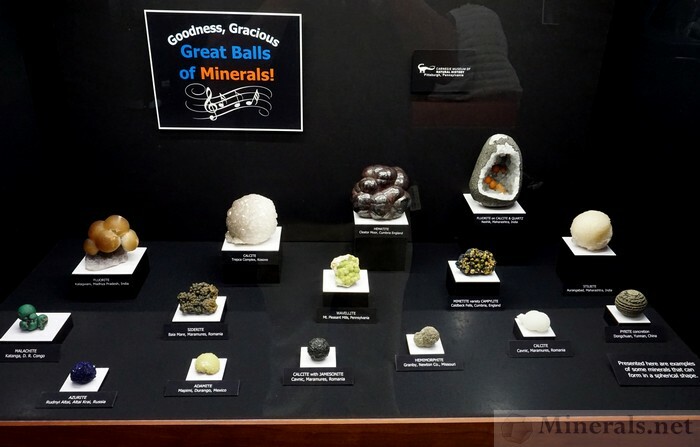 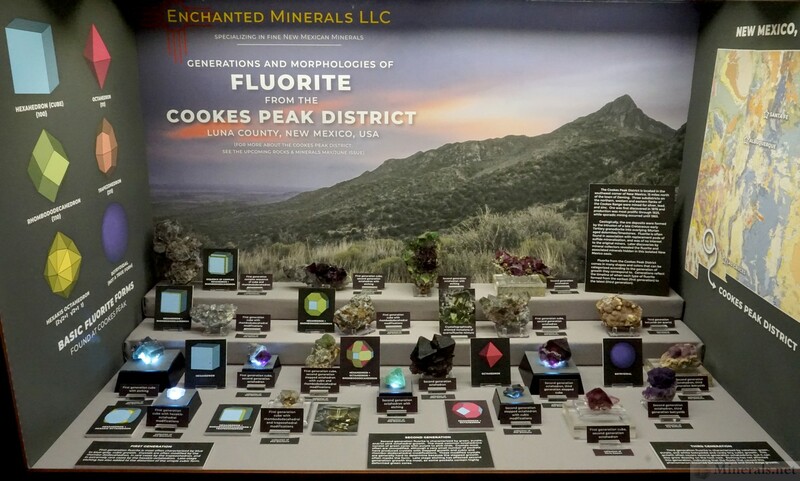 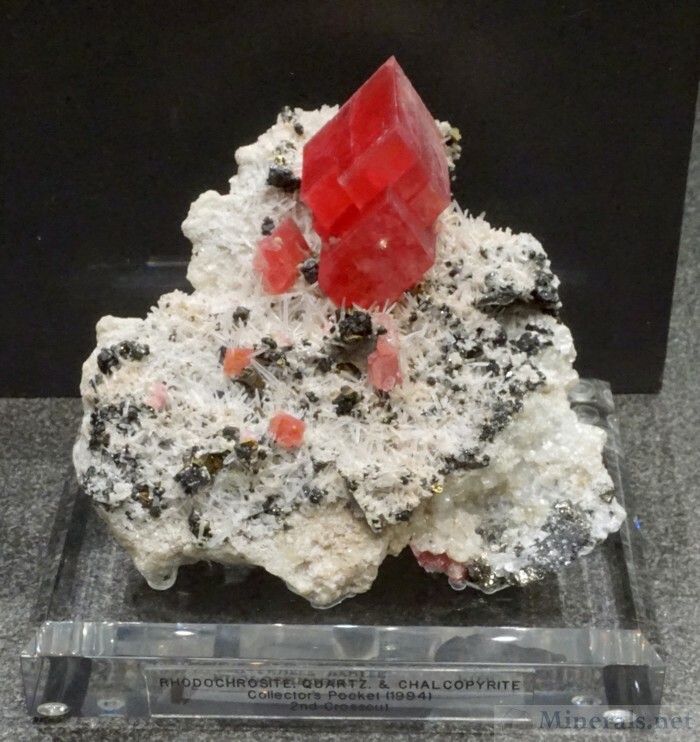 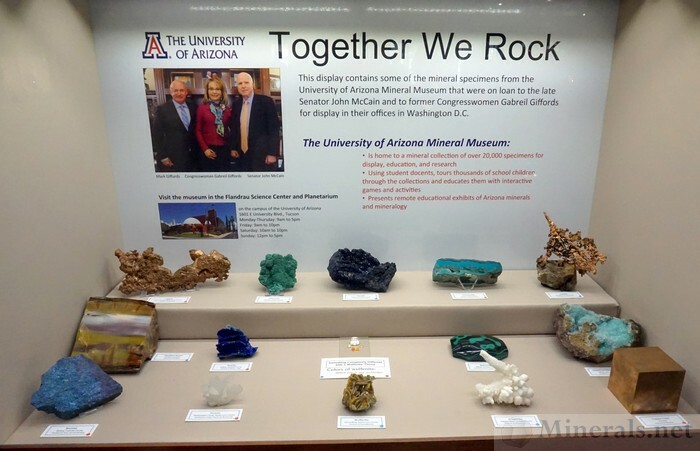 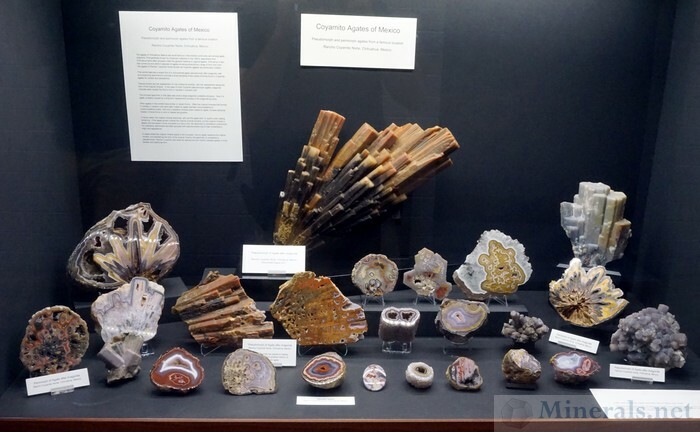 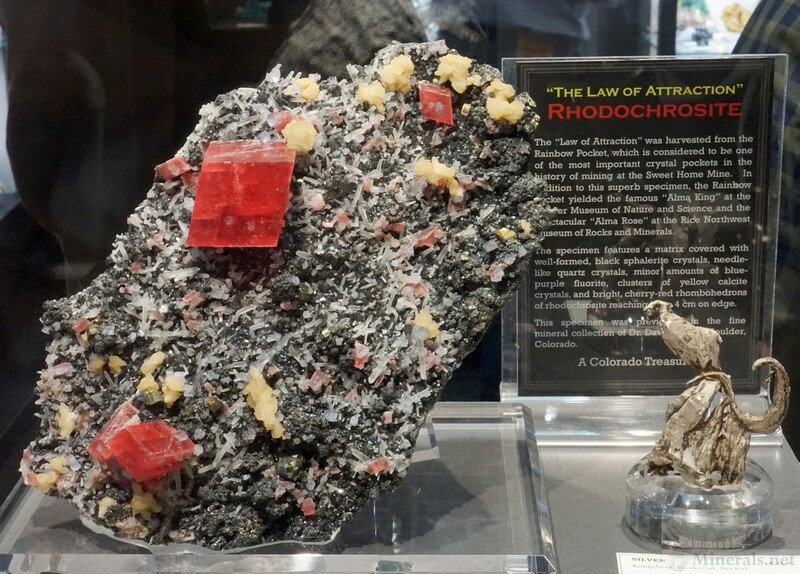 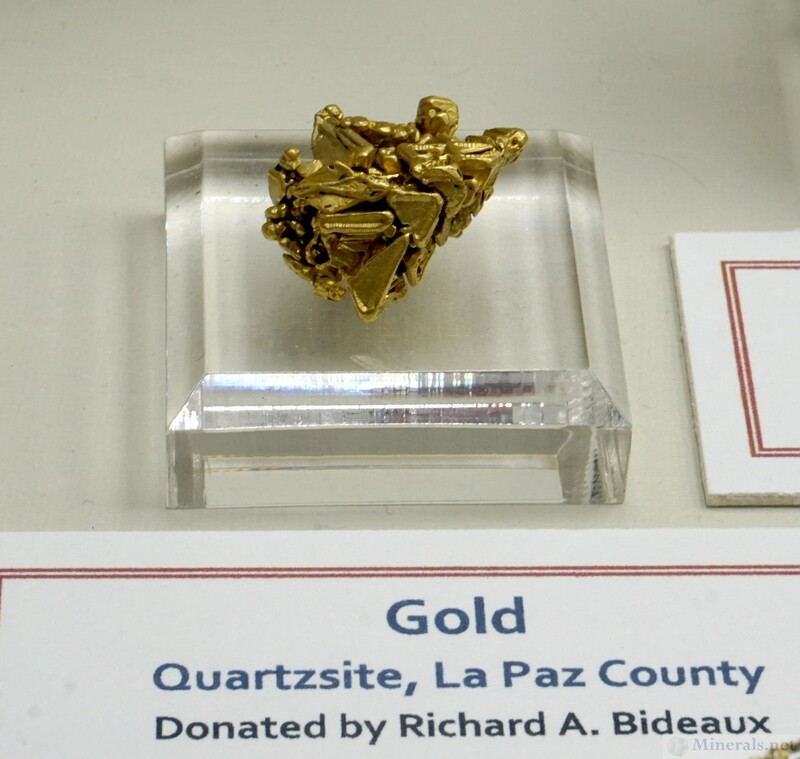 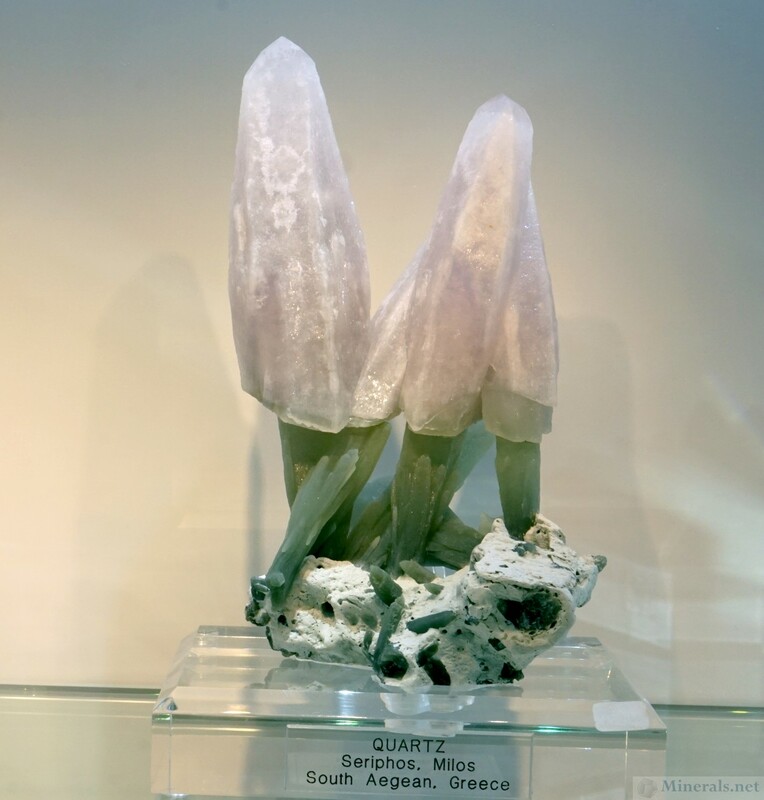 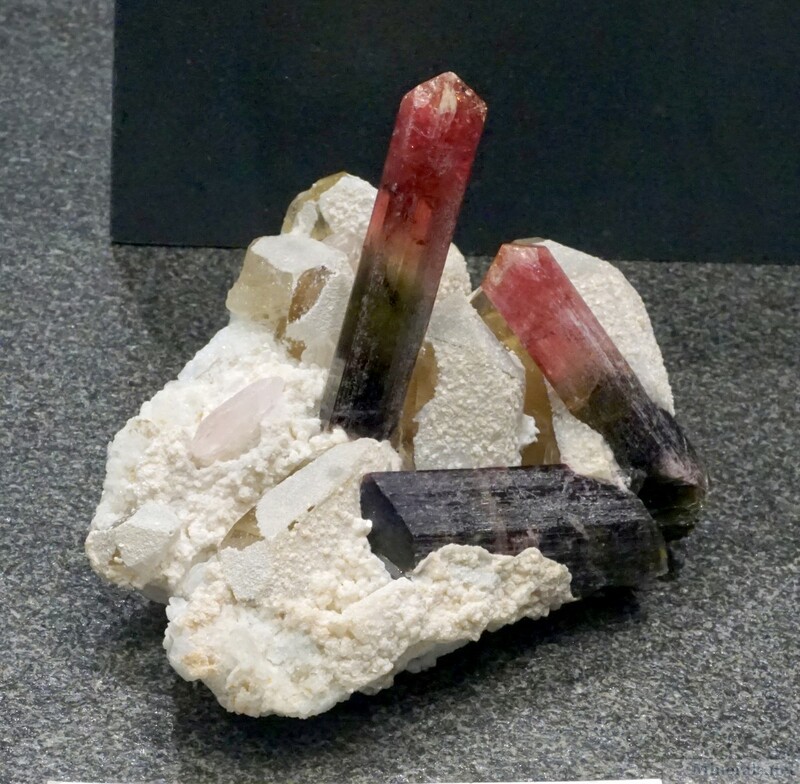 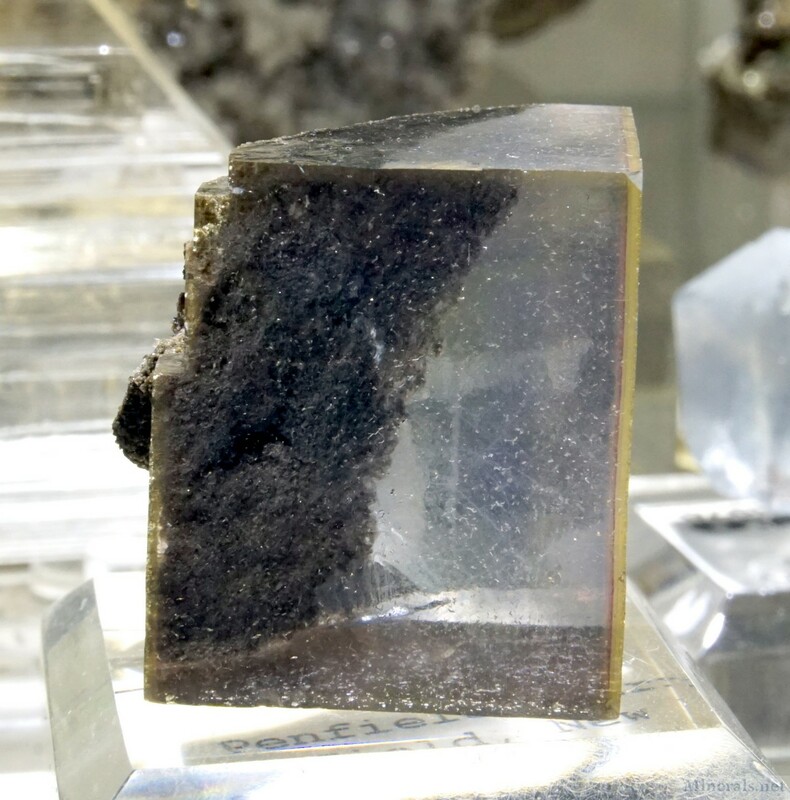 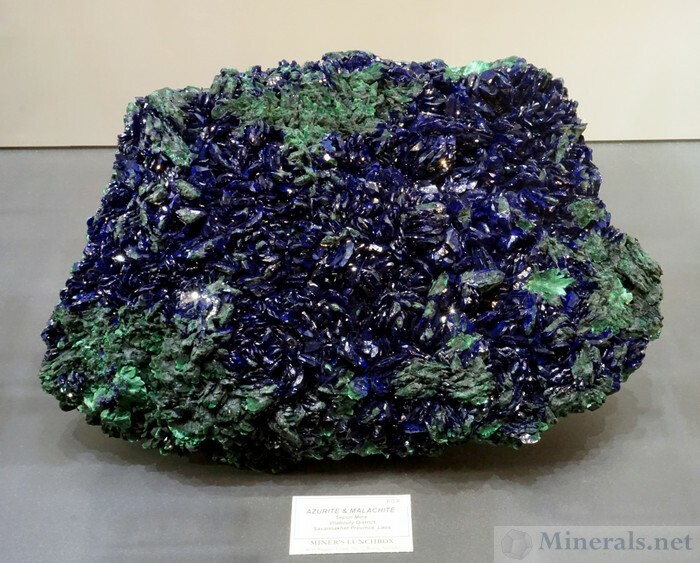 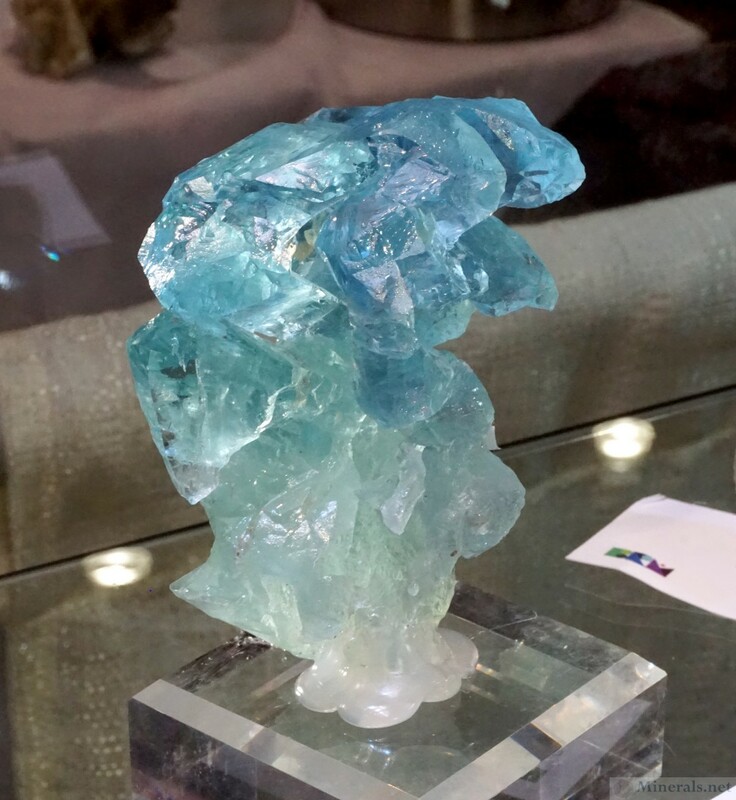 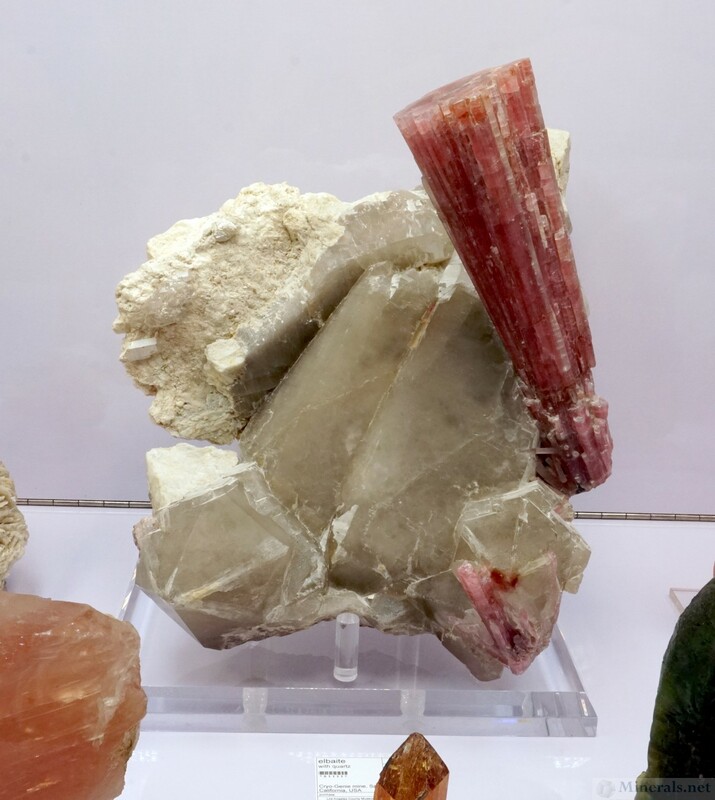 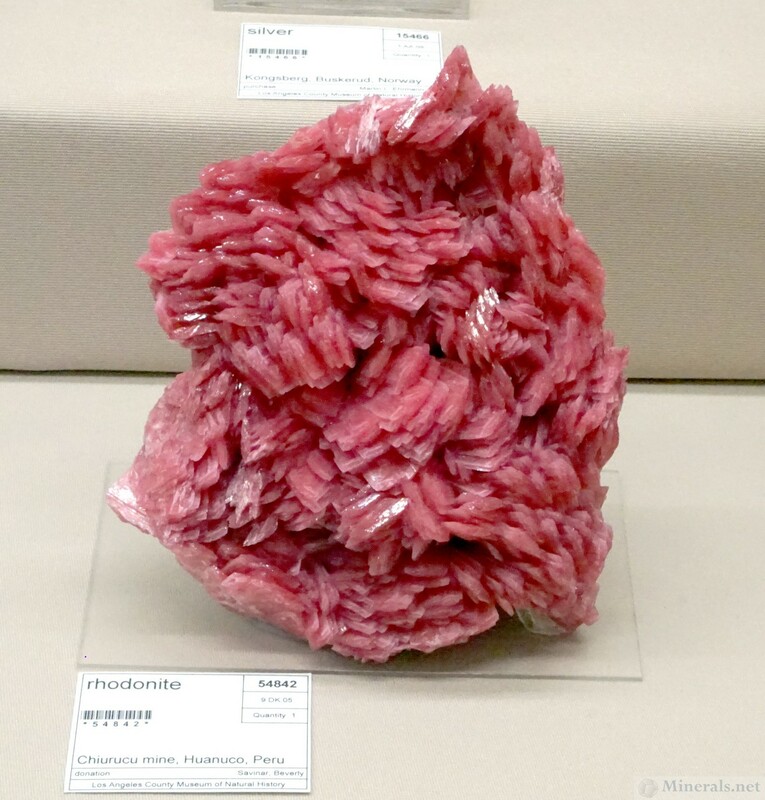 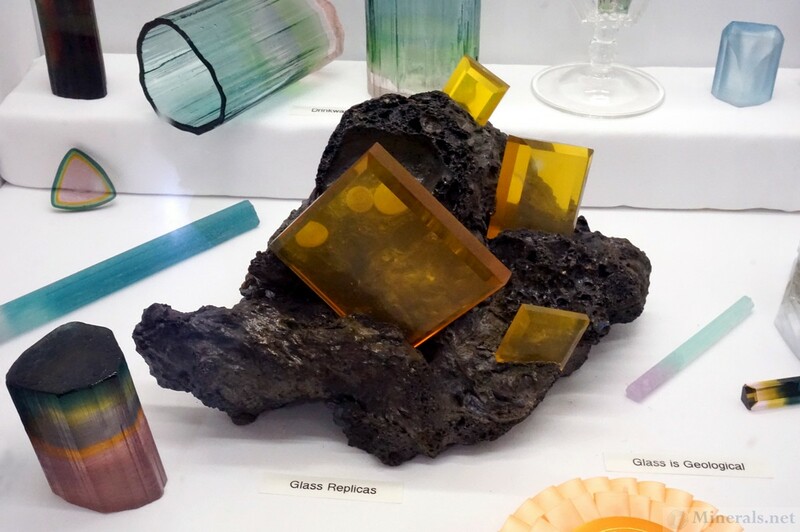 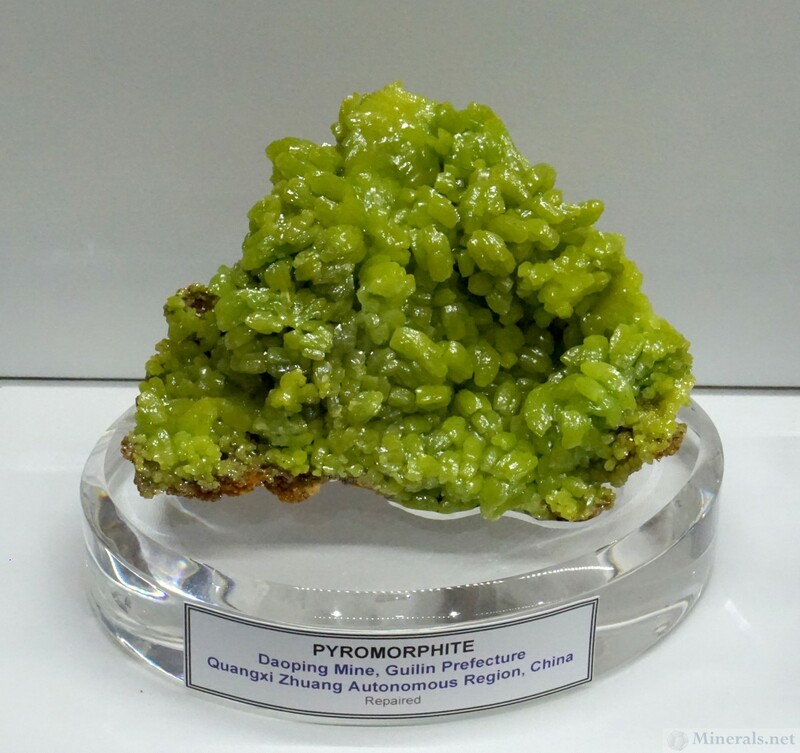 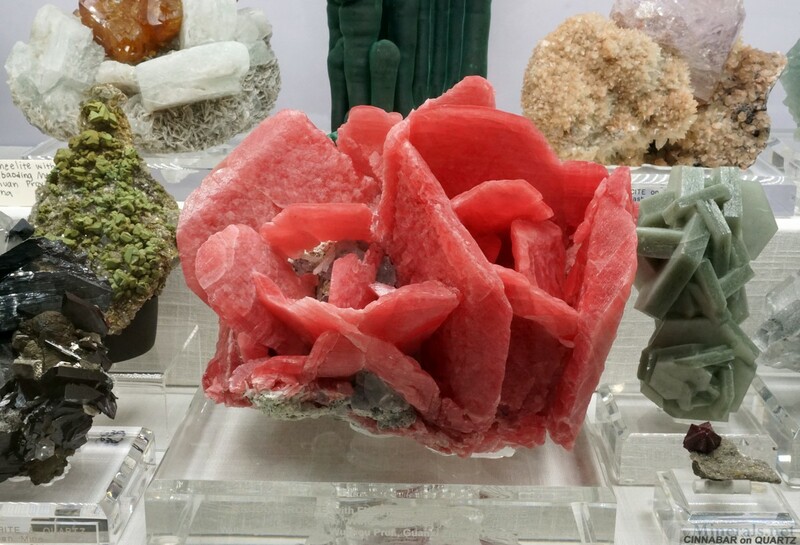 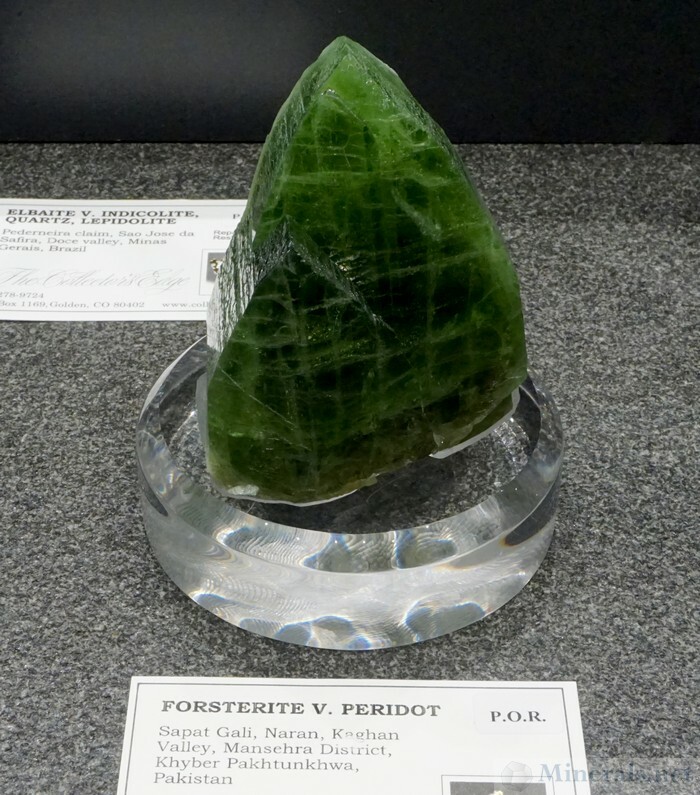 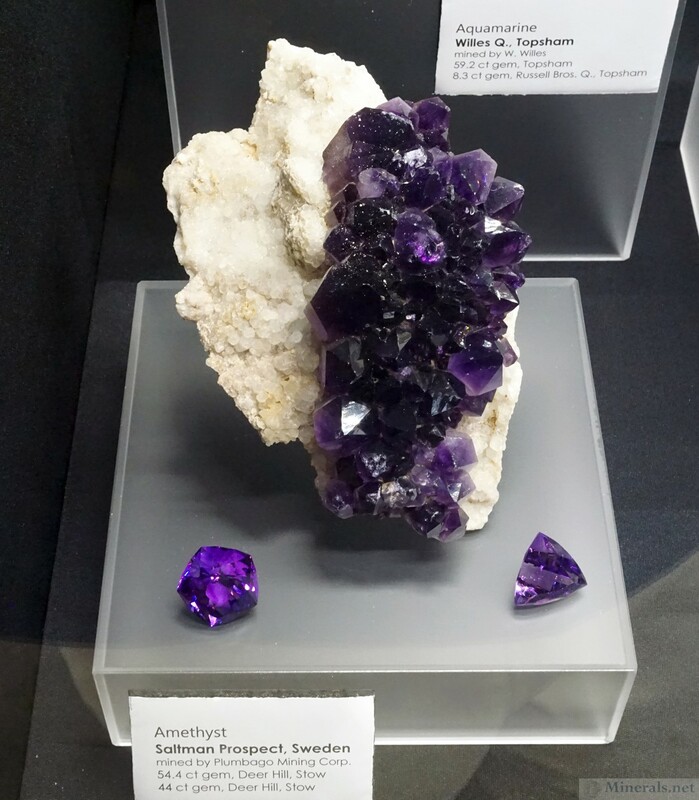 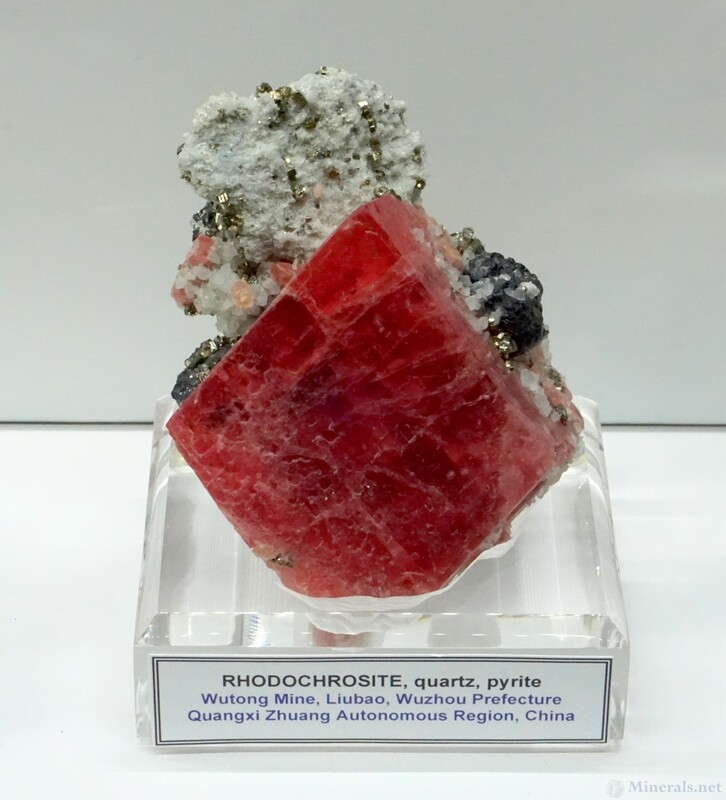 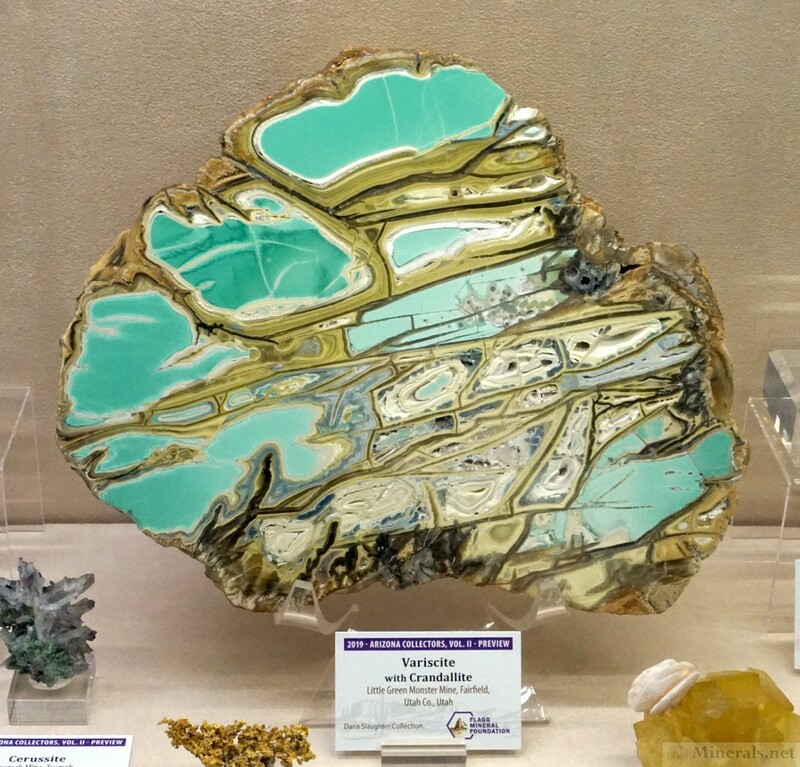 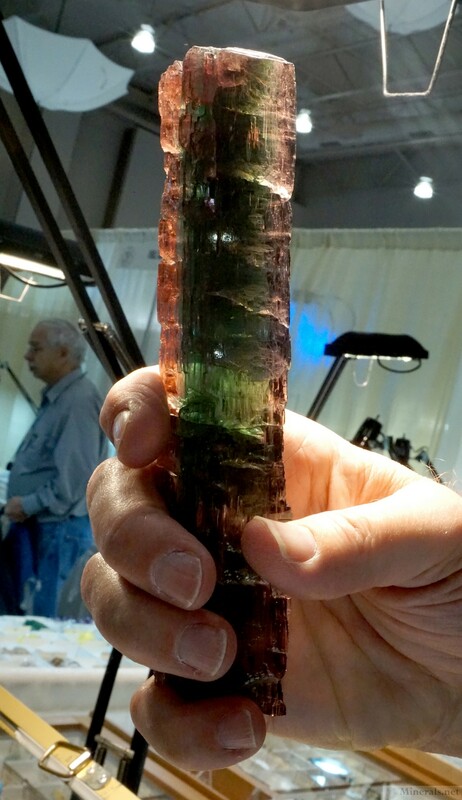 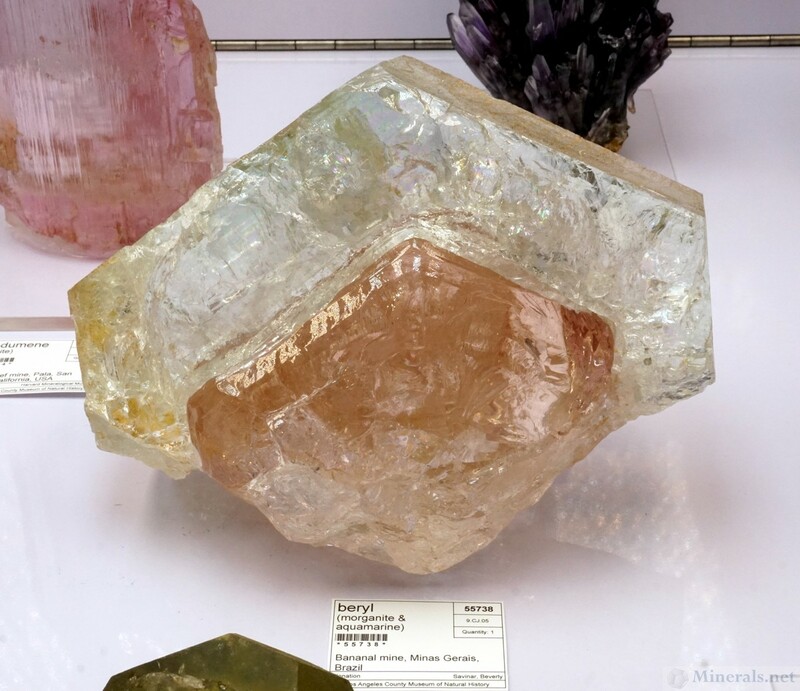 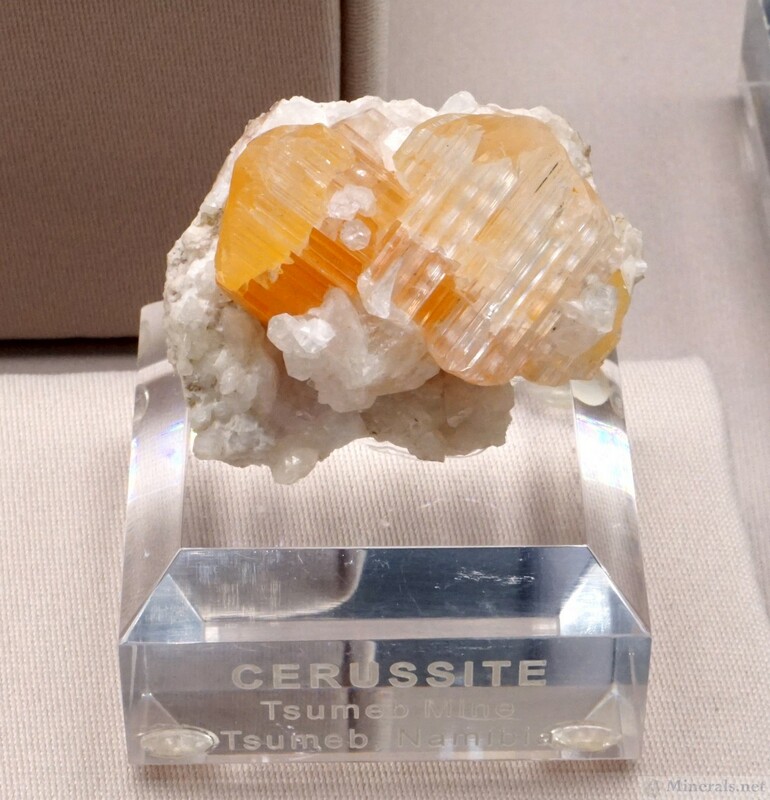 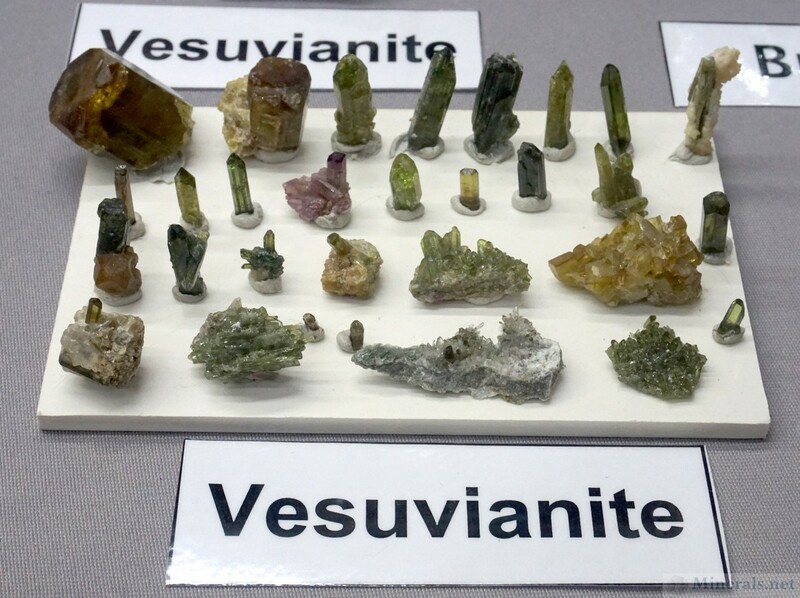 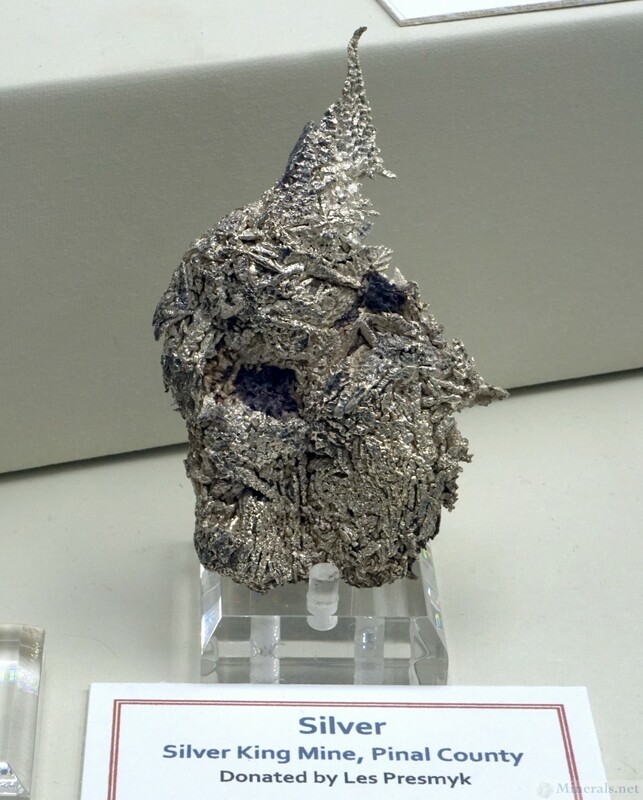 Our next post on the 2019 The Tucson Gem and Mineral Show® is of minerals on display that are not related to the "Wulfenite is Loved" theme. 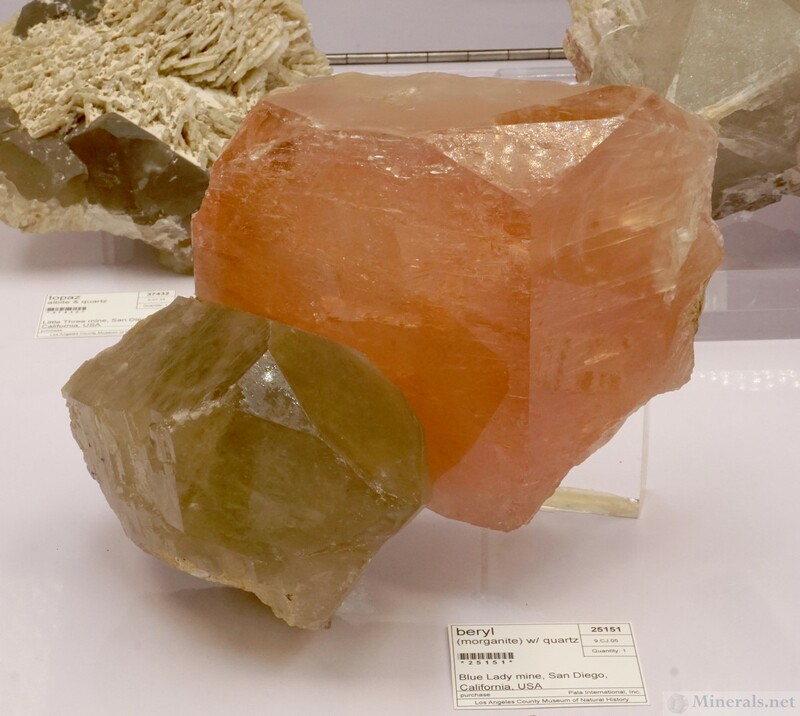 There is an amazing array of shapes and colors in the public display showcases, and I handpicked some specimens that I found to be particularly interesting and photogenic for this post.